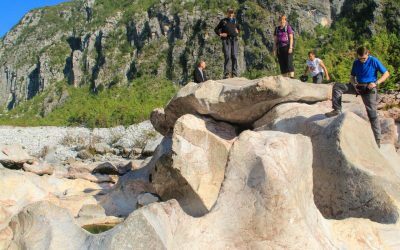 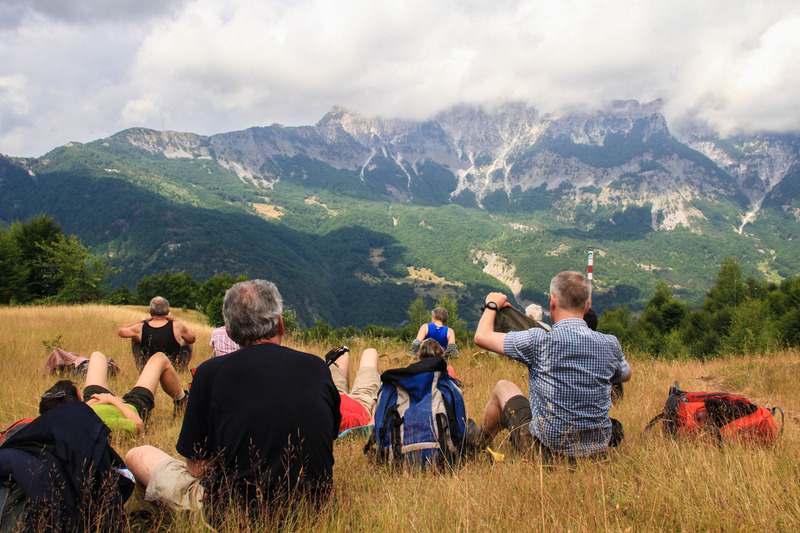 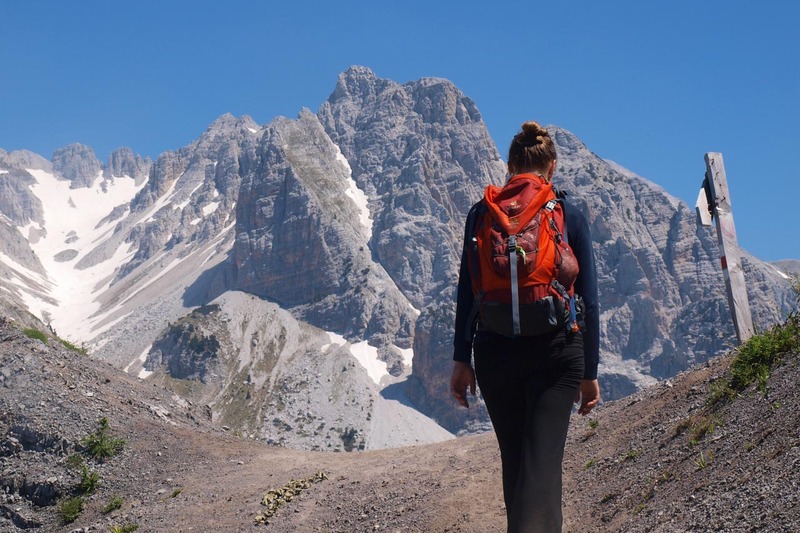 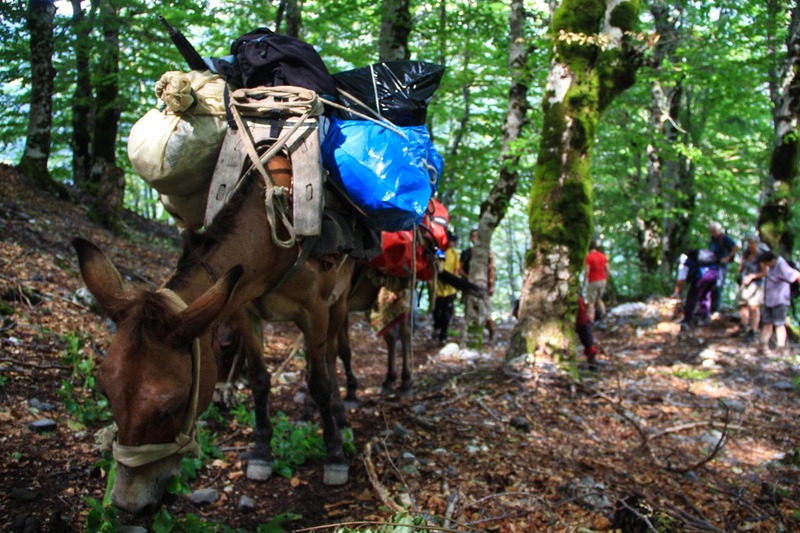 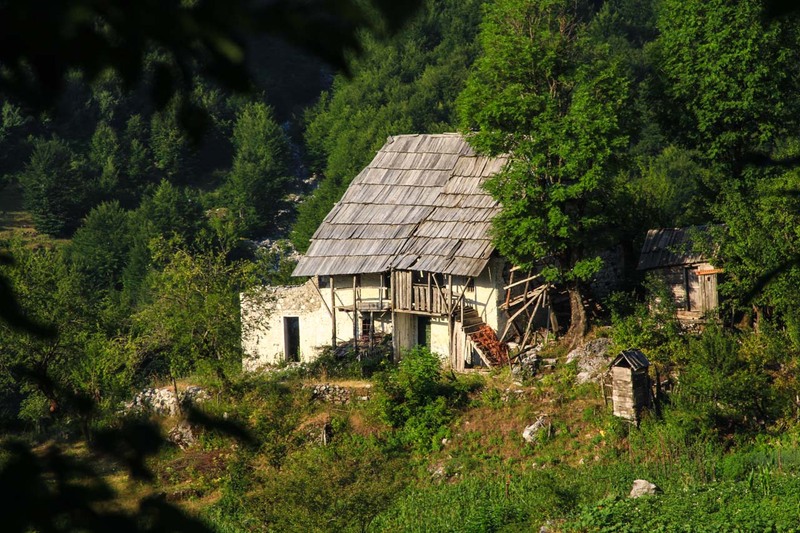 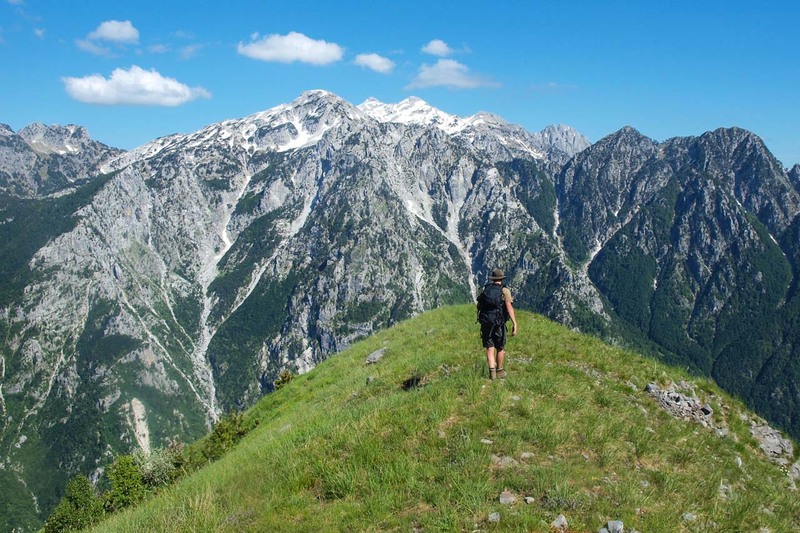 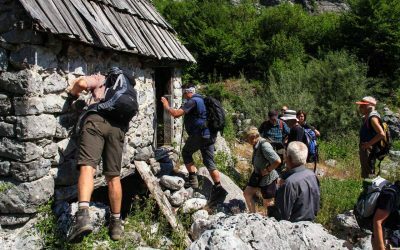 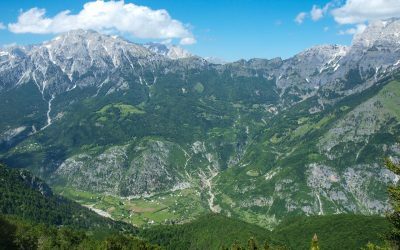 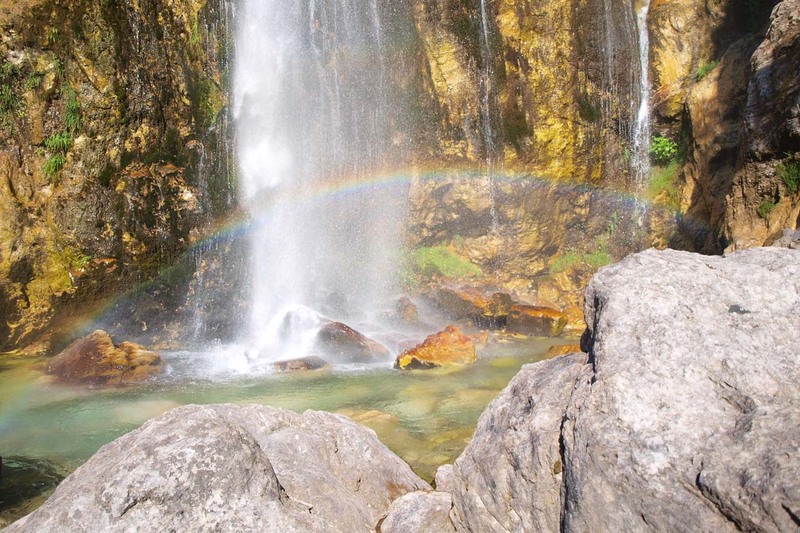 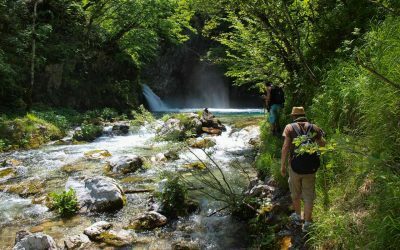 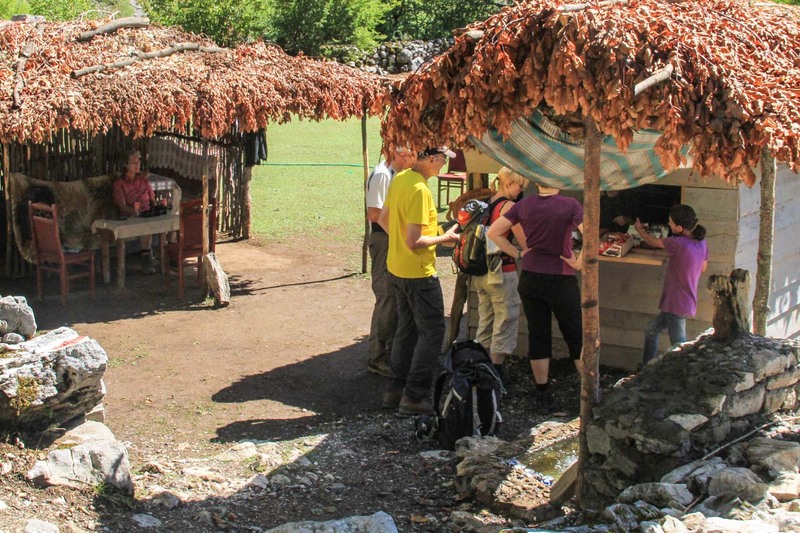 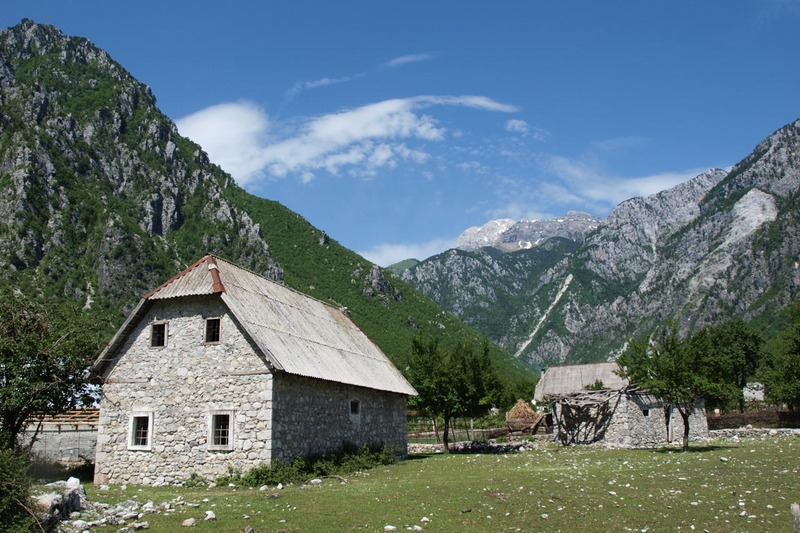 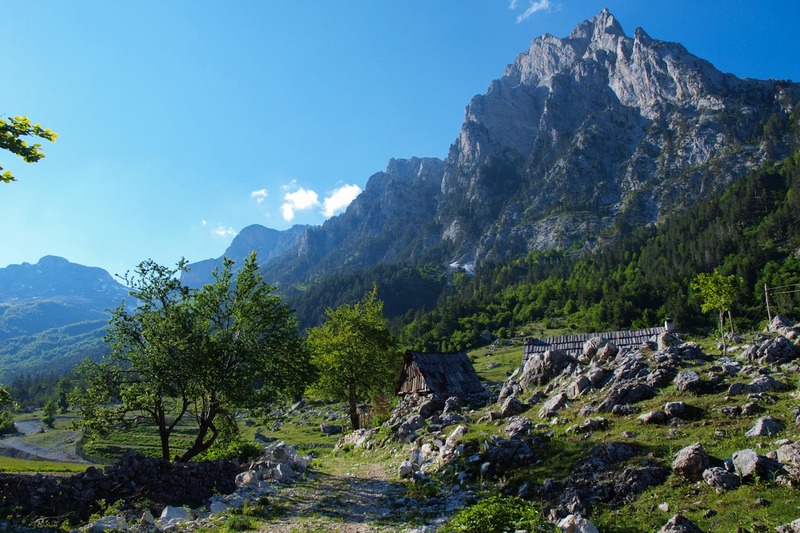 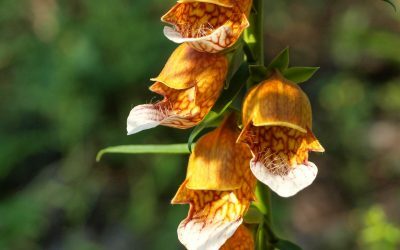 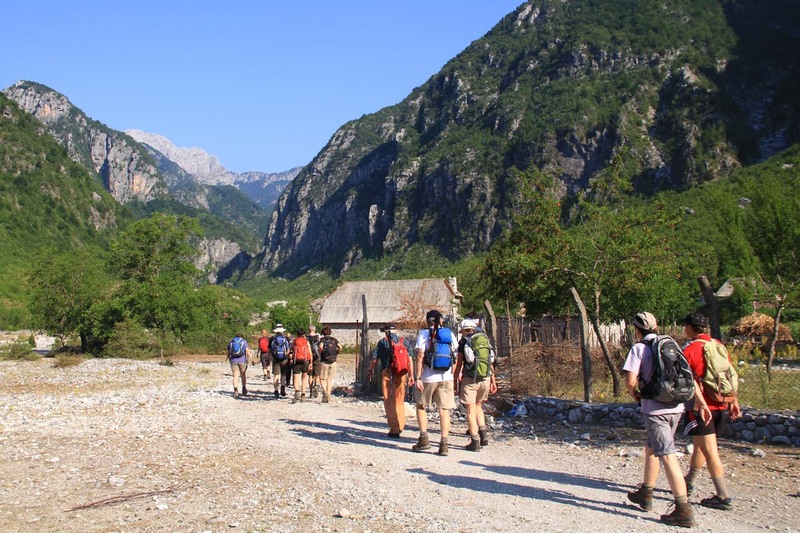 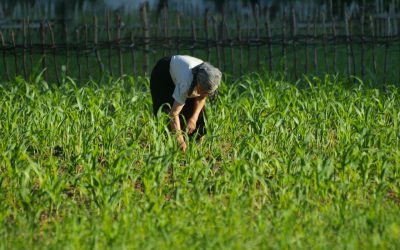 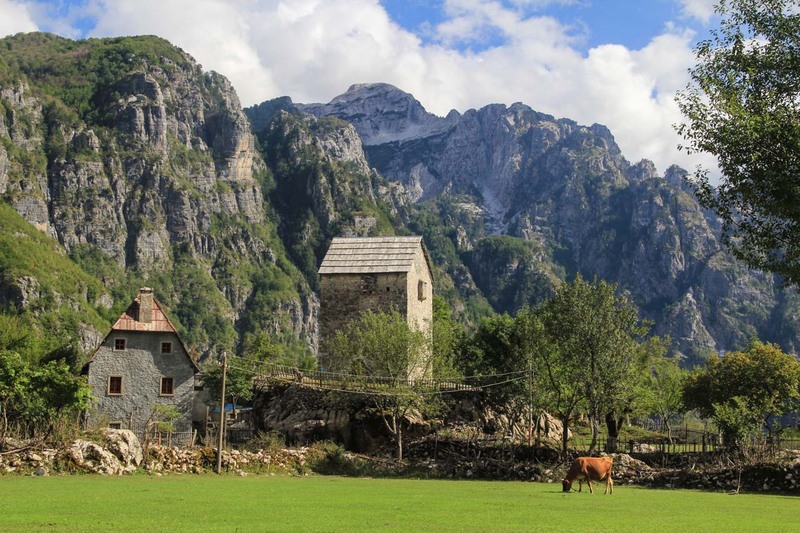 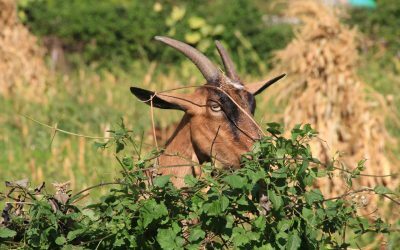 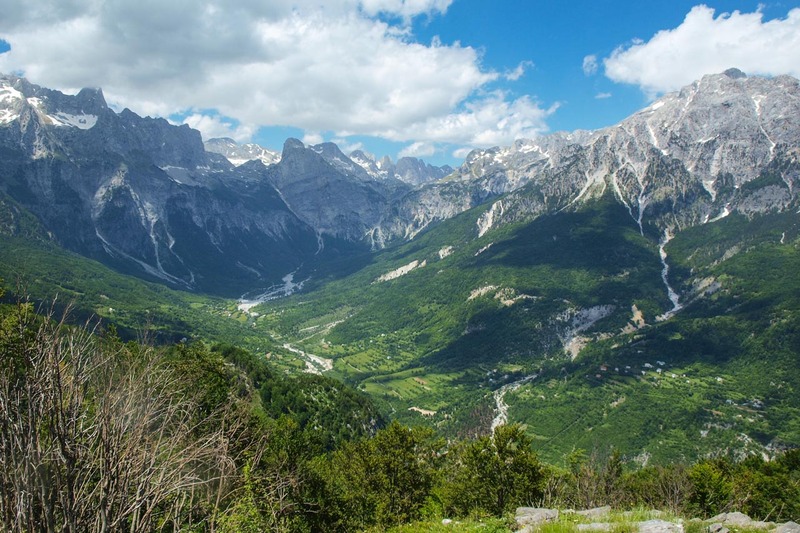 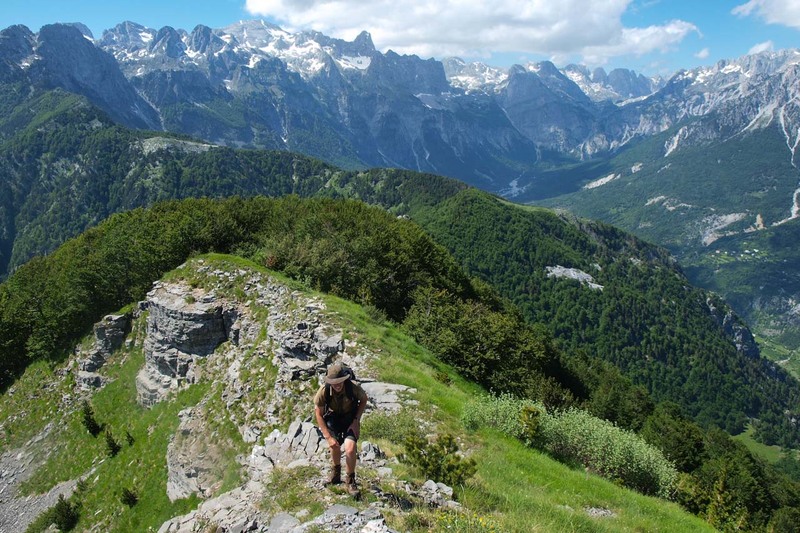 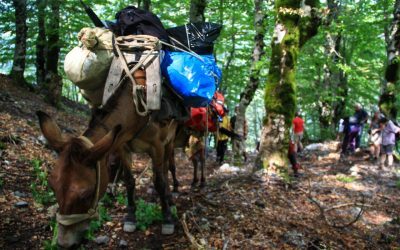 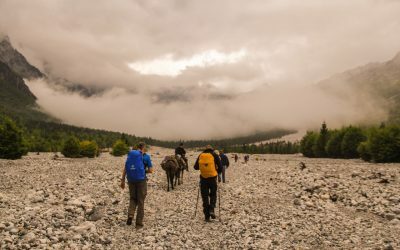 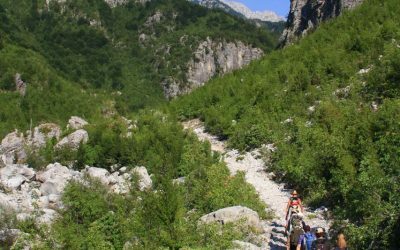 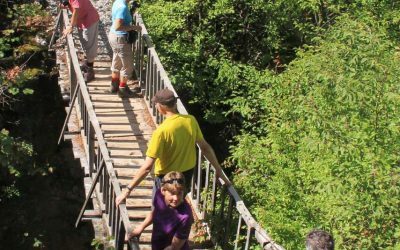 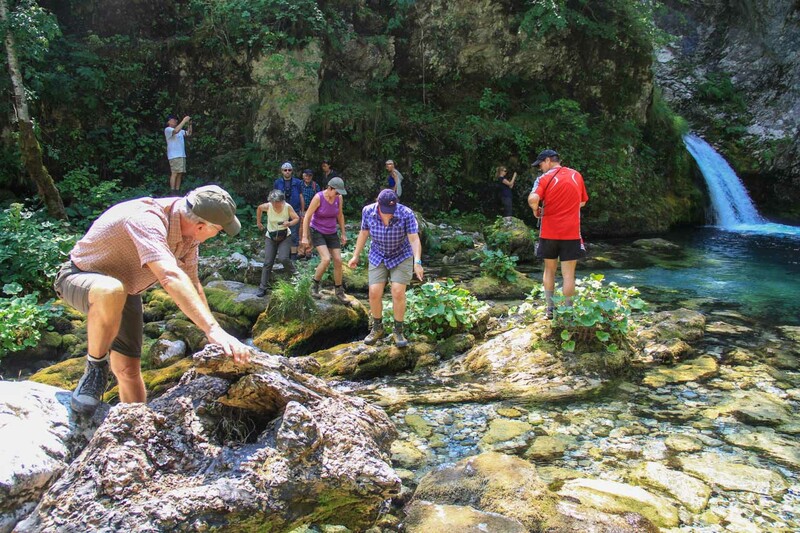 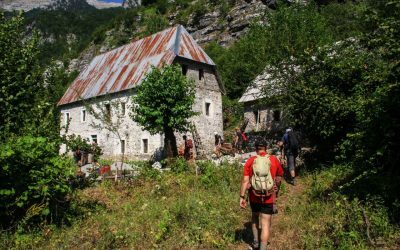 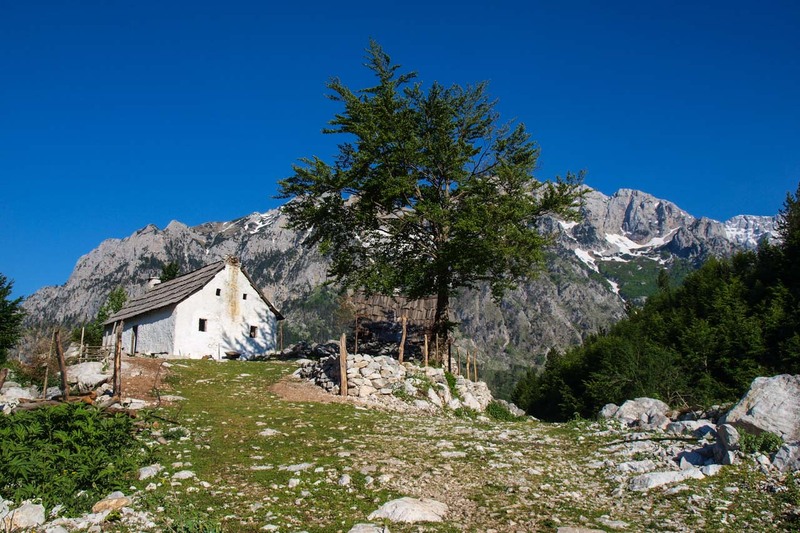 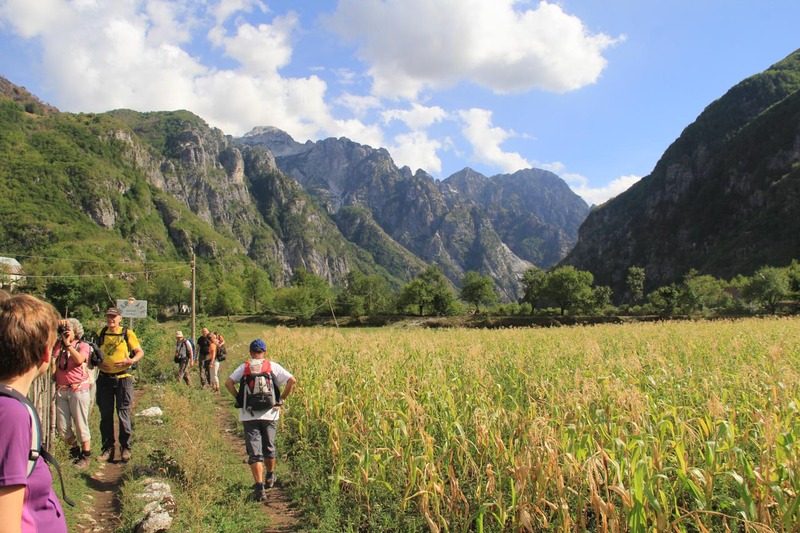 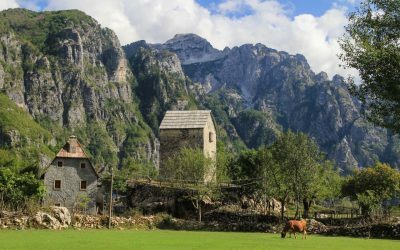 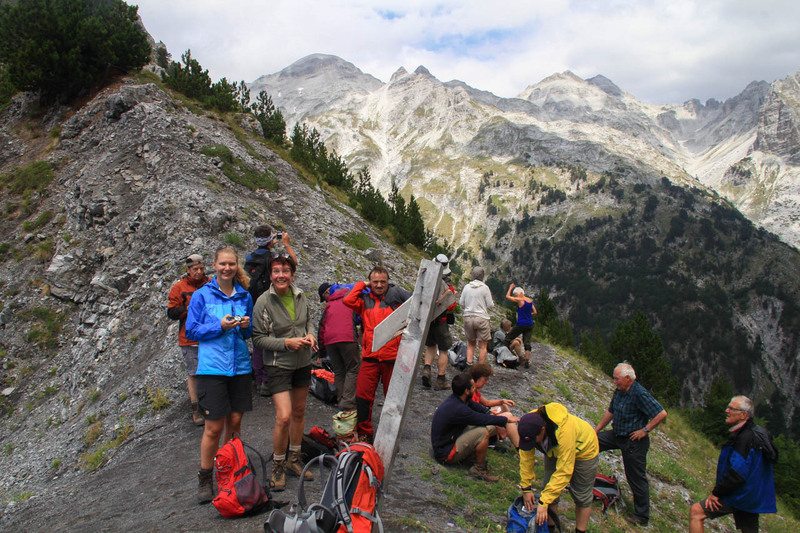 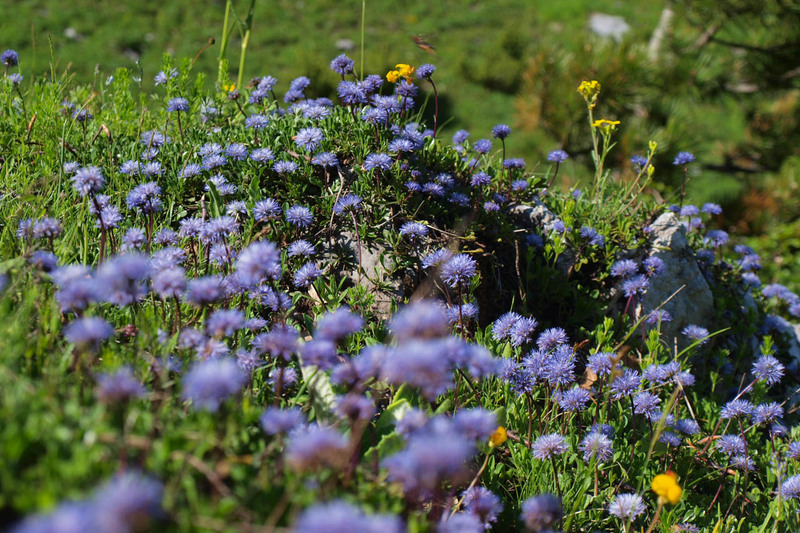 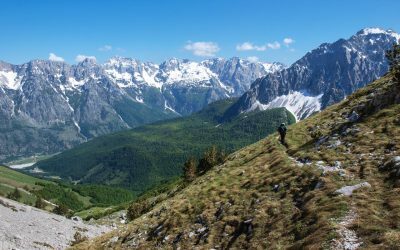 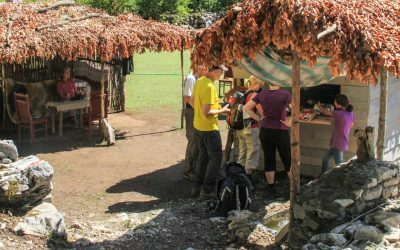 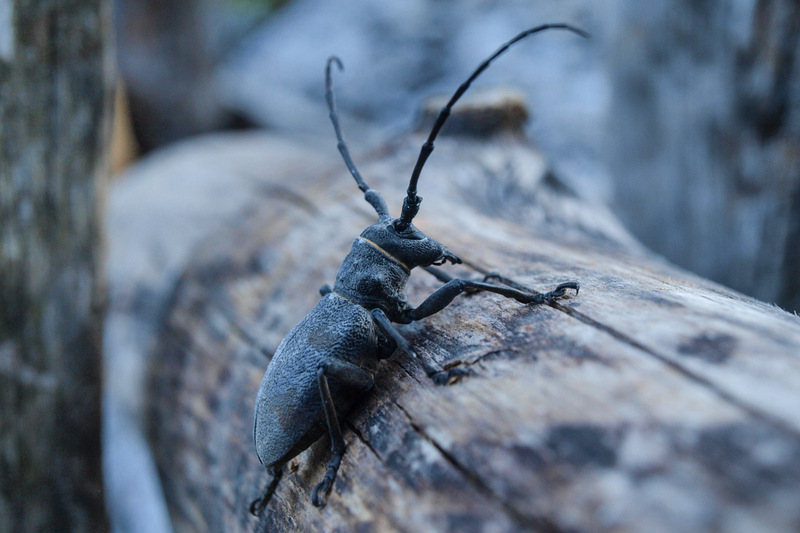 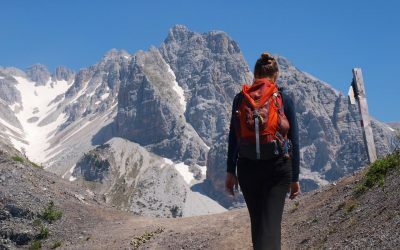 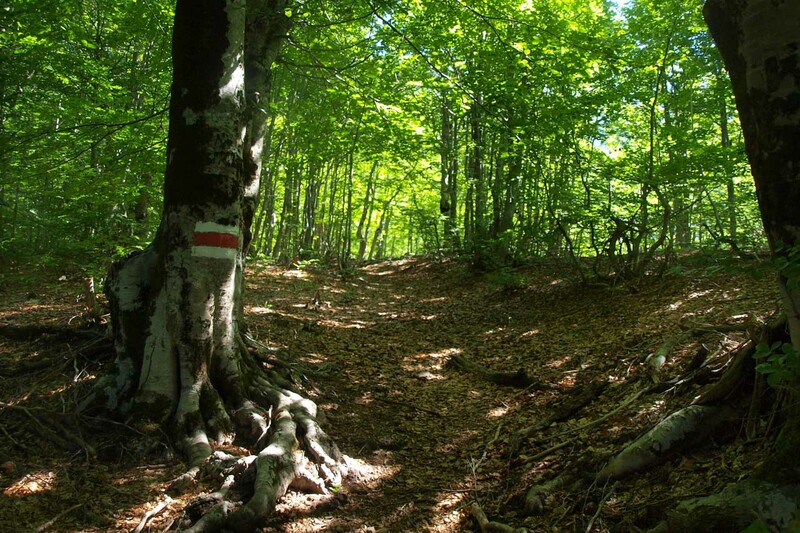 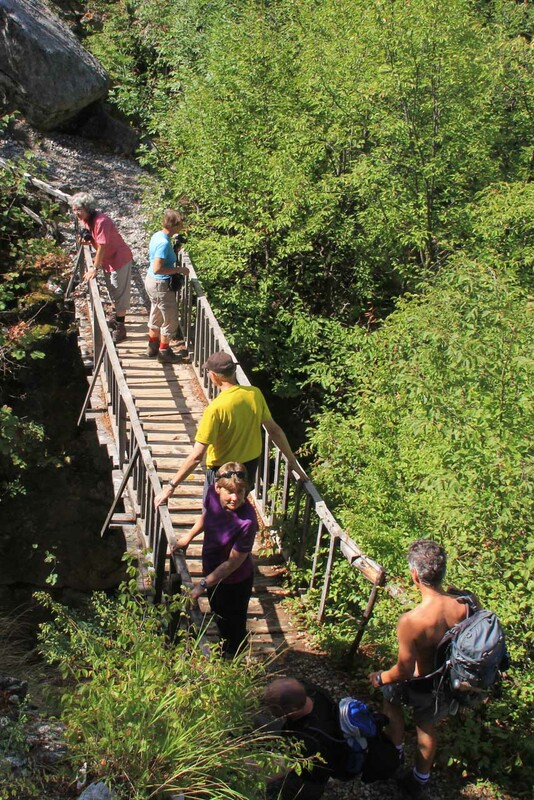 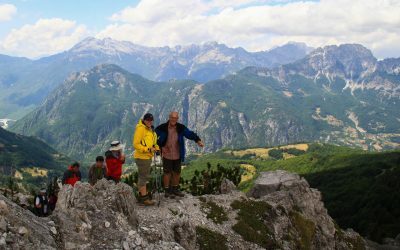 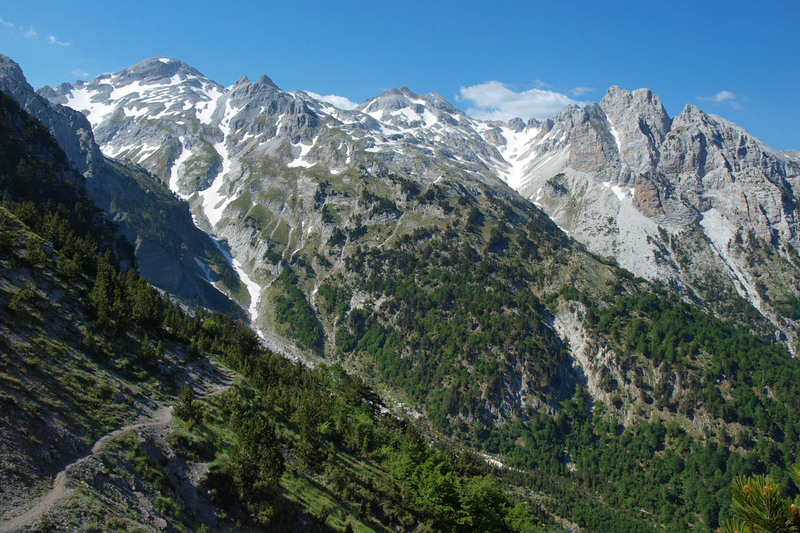 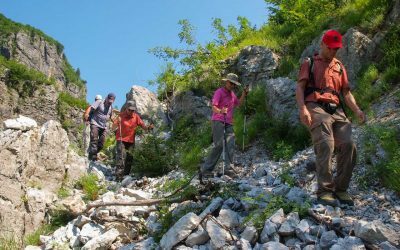 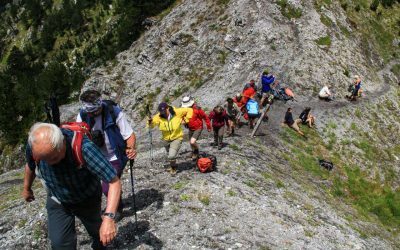 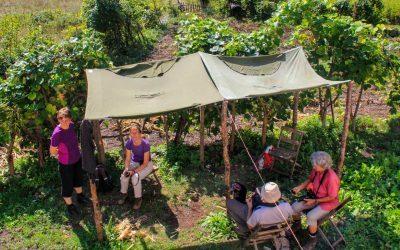 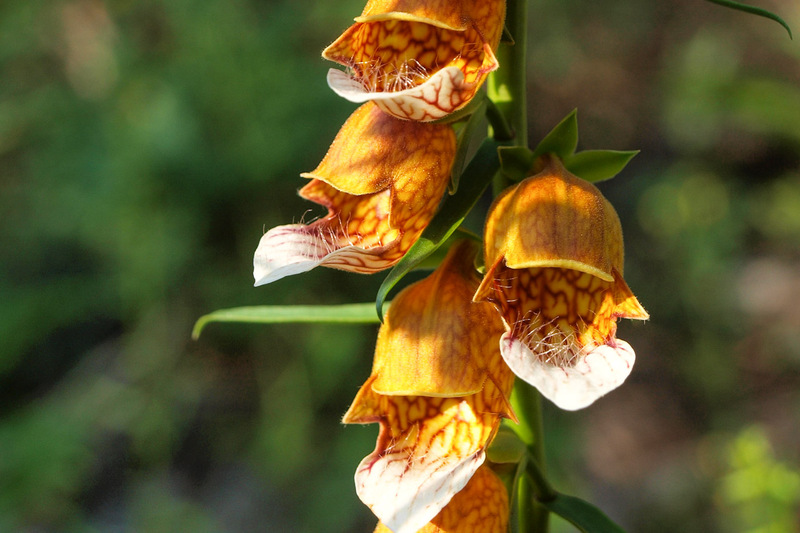 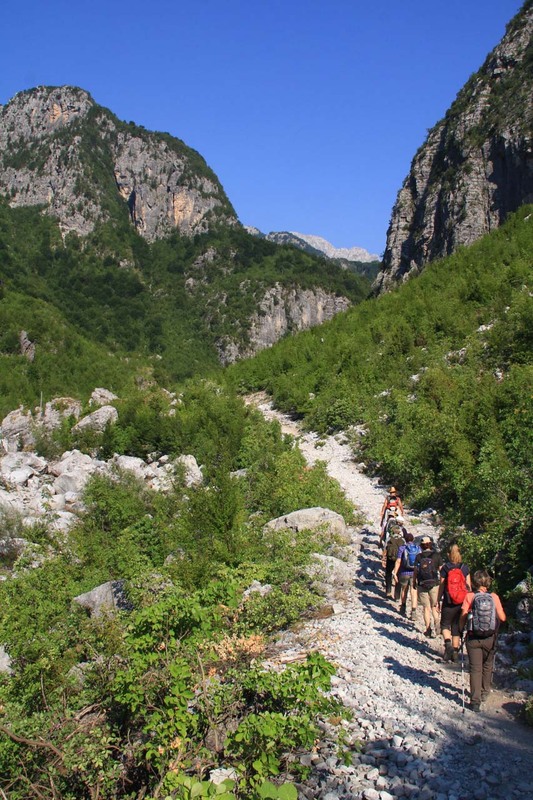 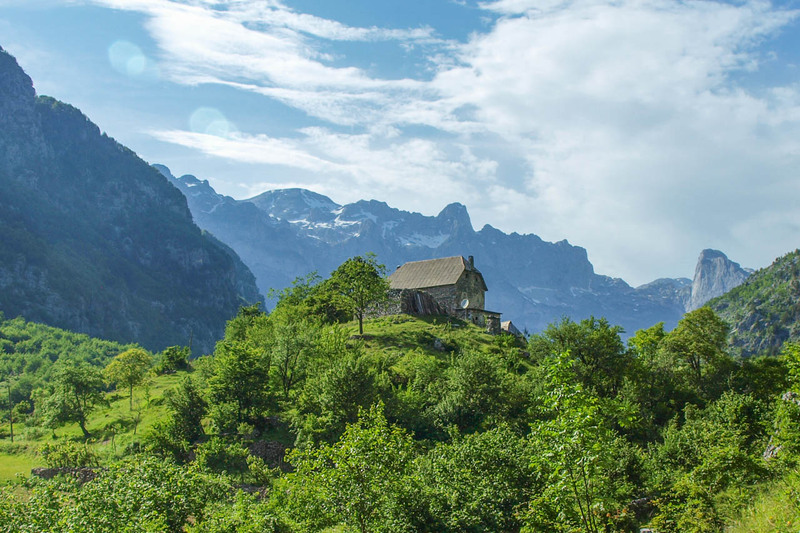 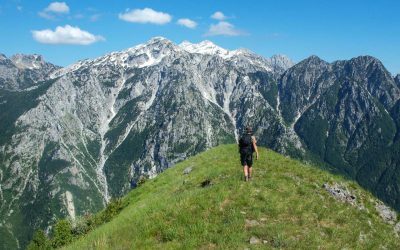 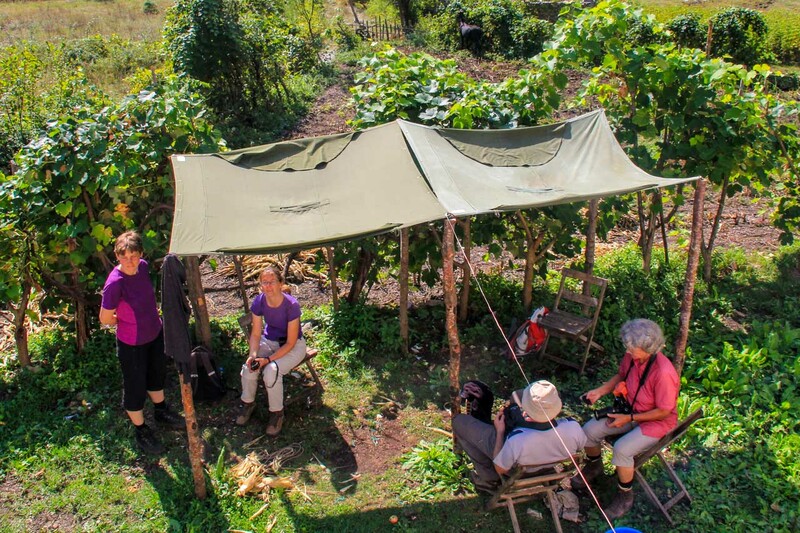 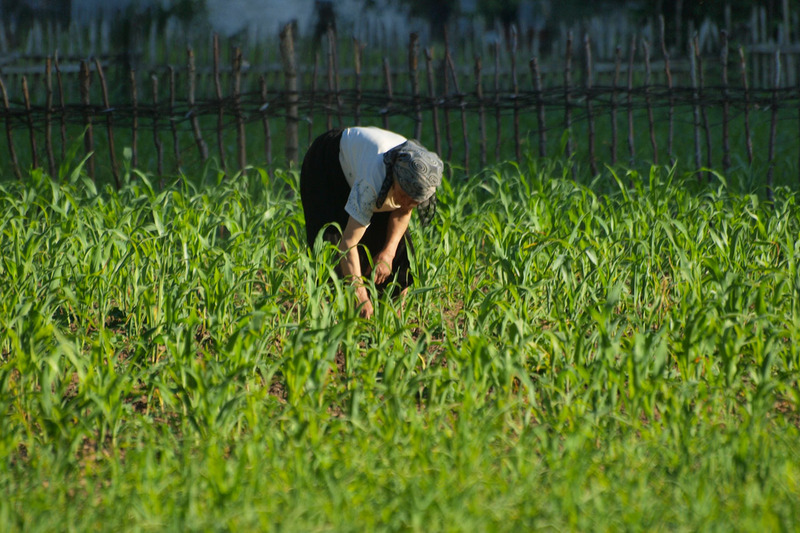 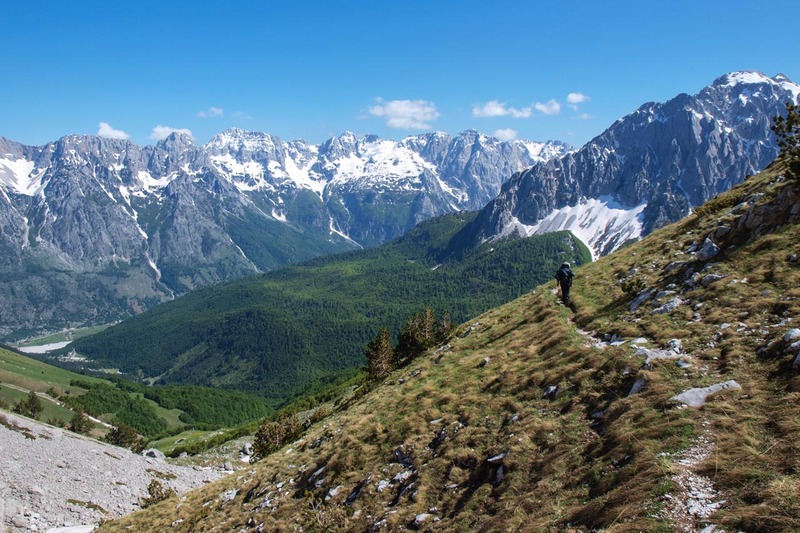 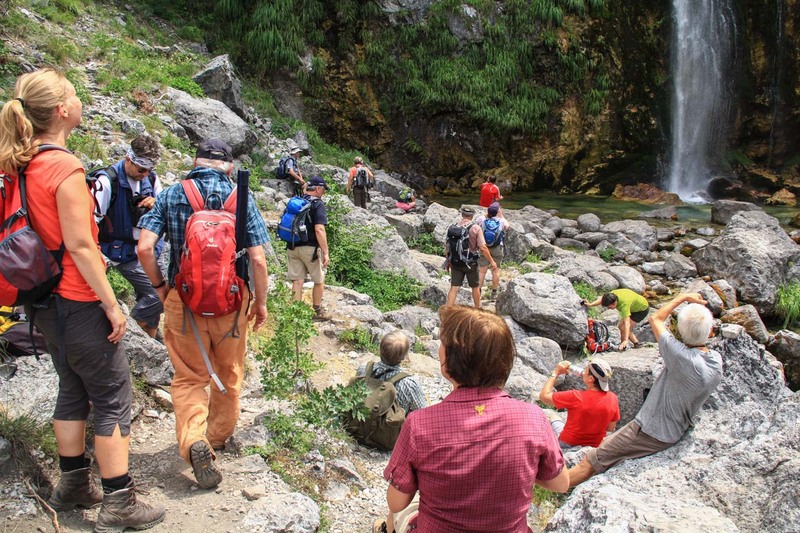 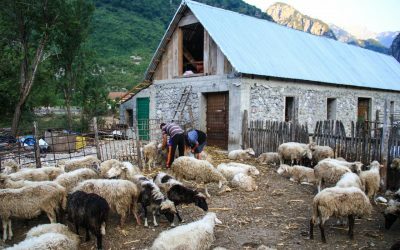 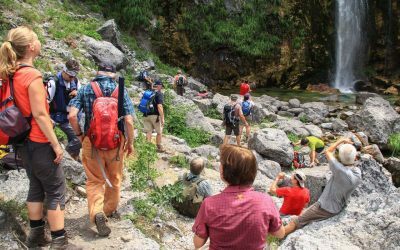 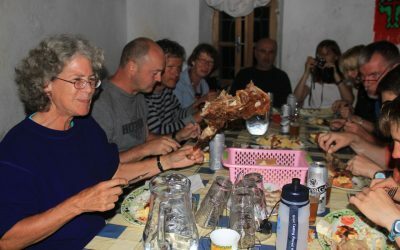 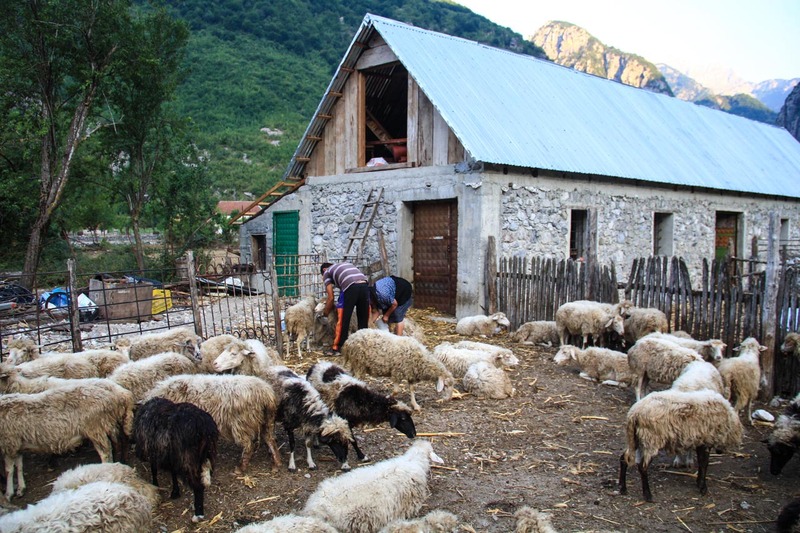 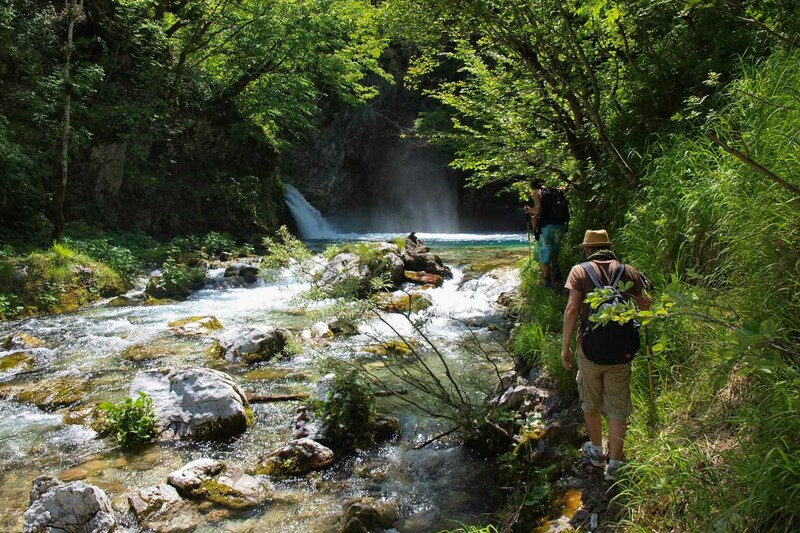 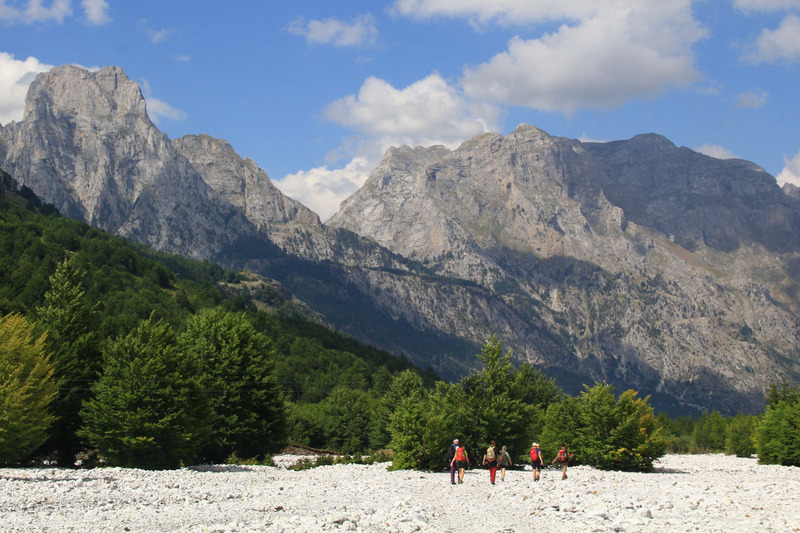 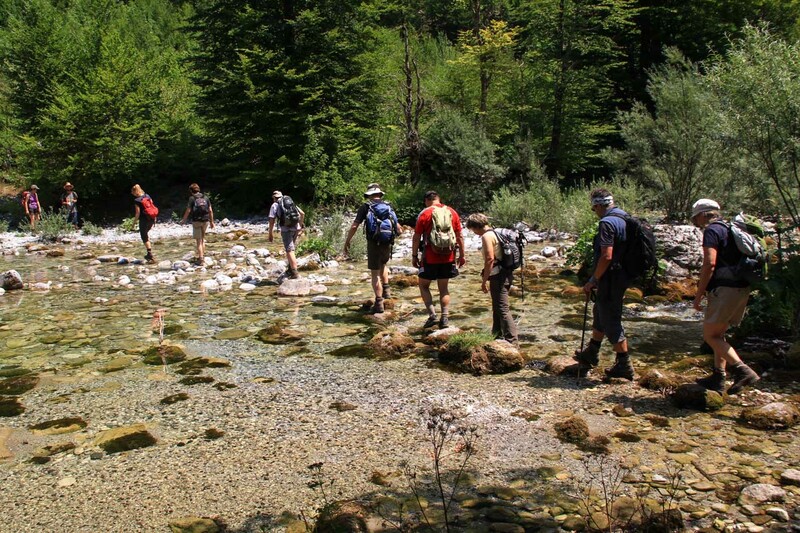 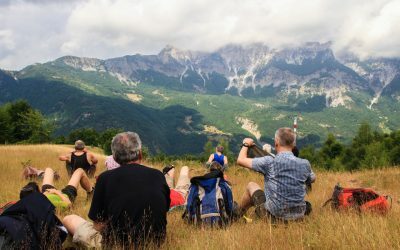 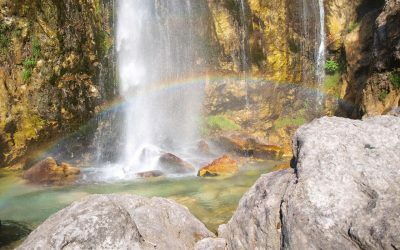 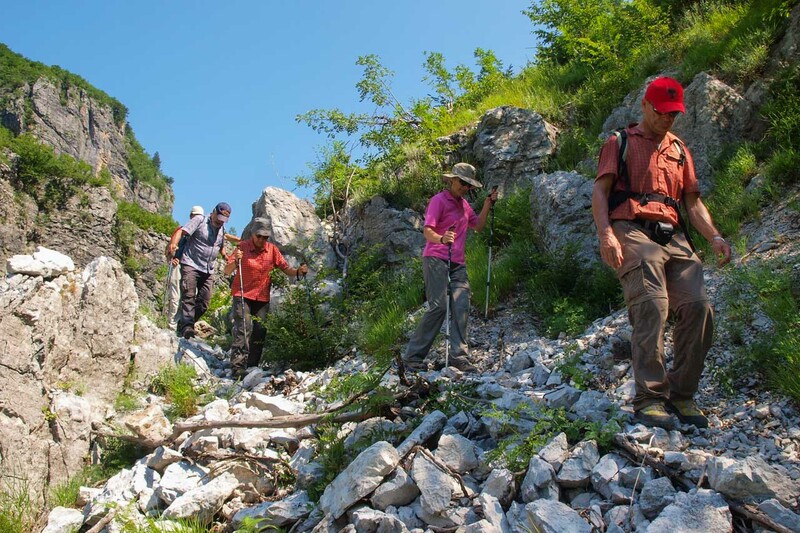 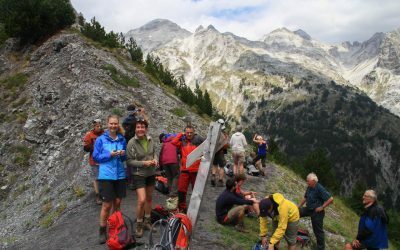 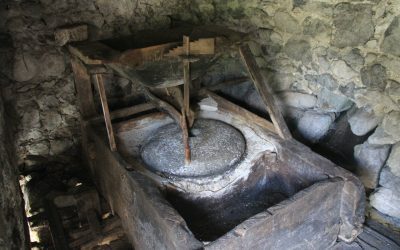 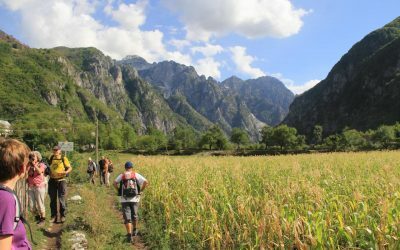 This tour is perfect for people who visit the Albanian Alps for the first time and would like to combine scenic hikes for average fitness levels with most of the North’s highlights. 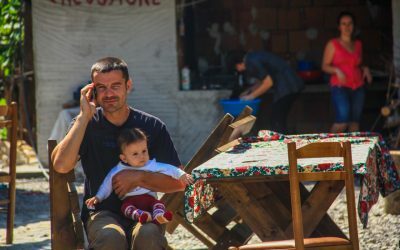 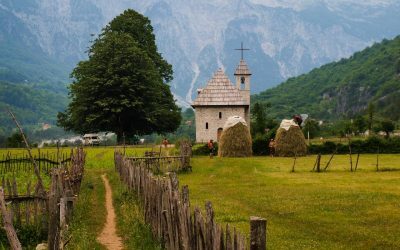 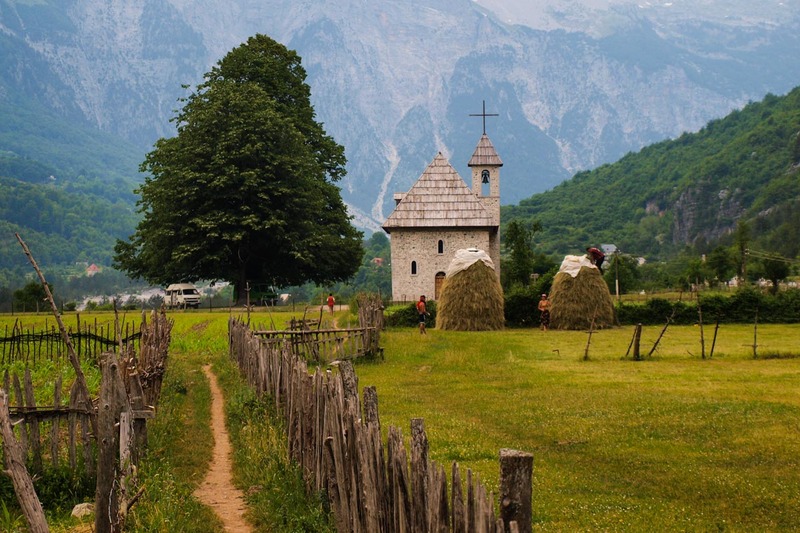 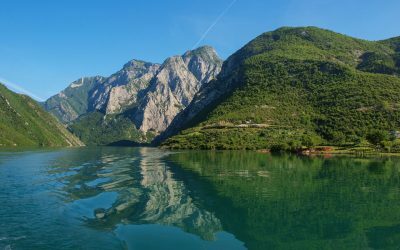 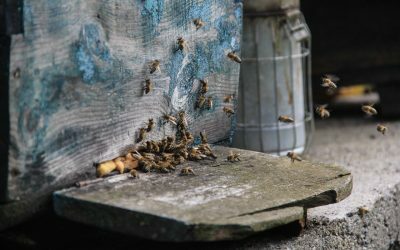 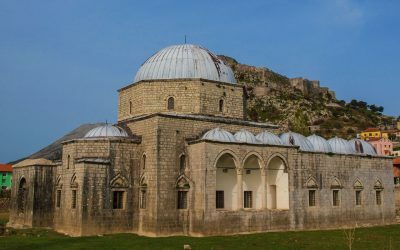 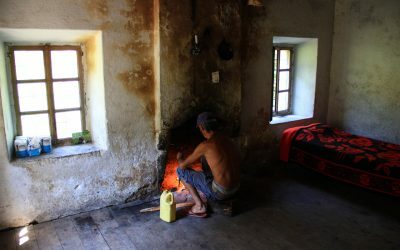 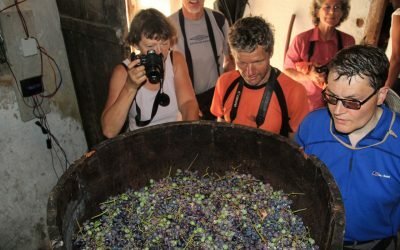 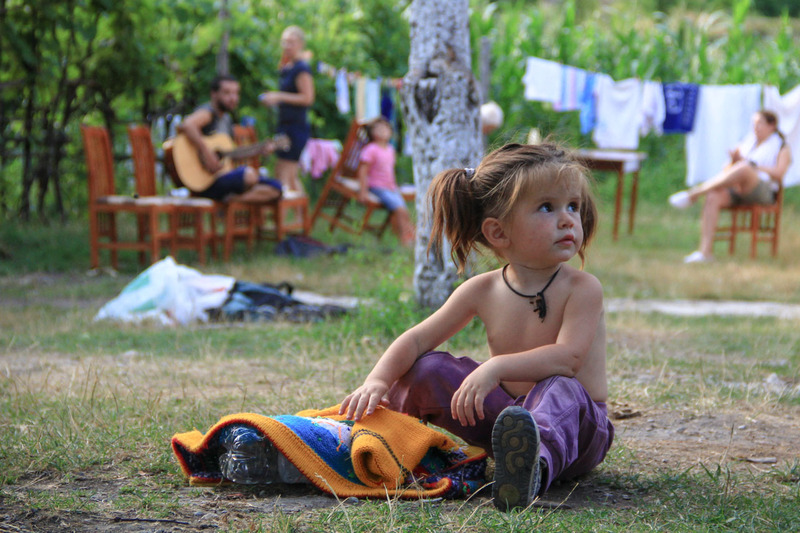 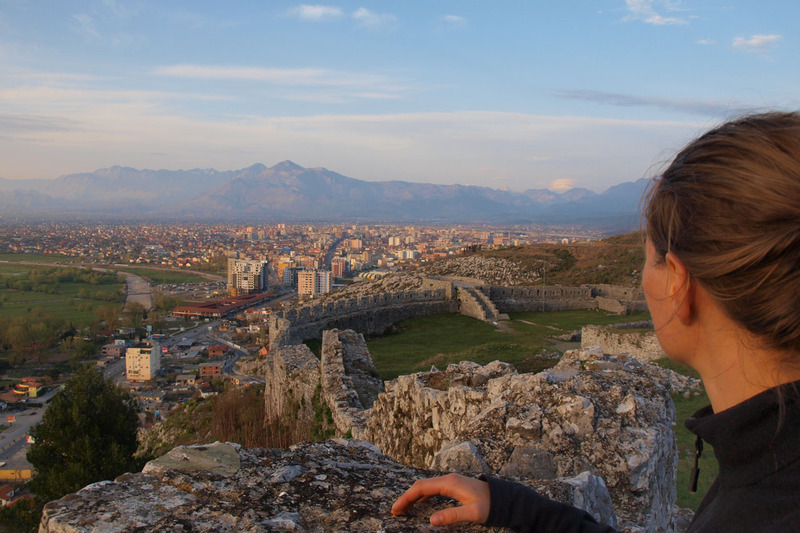 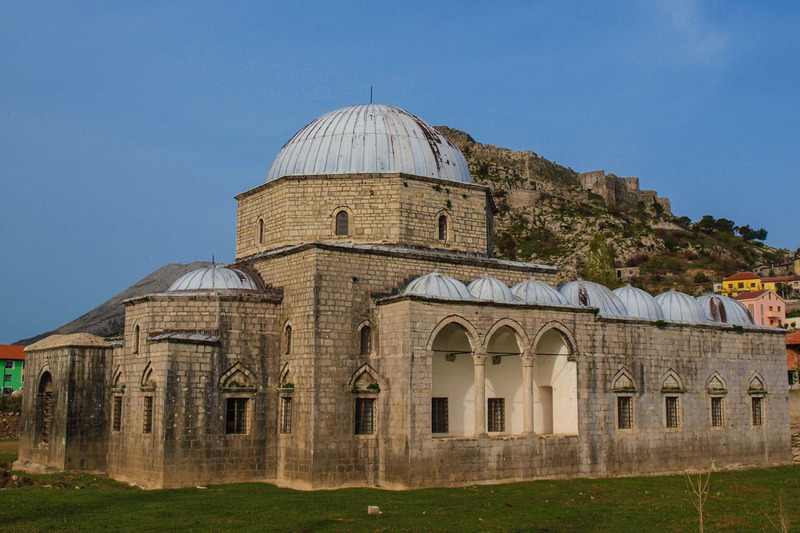 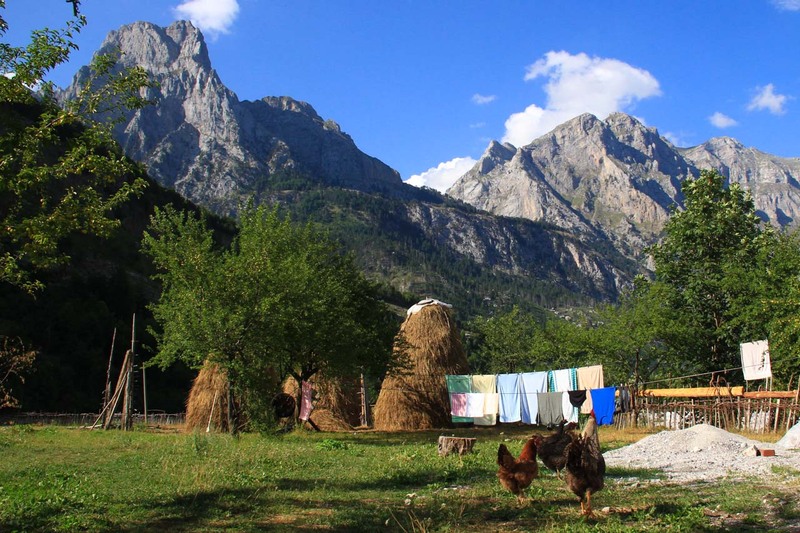 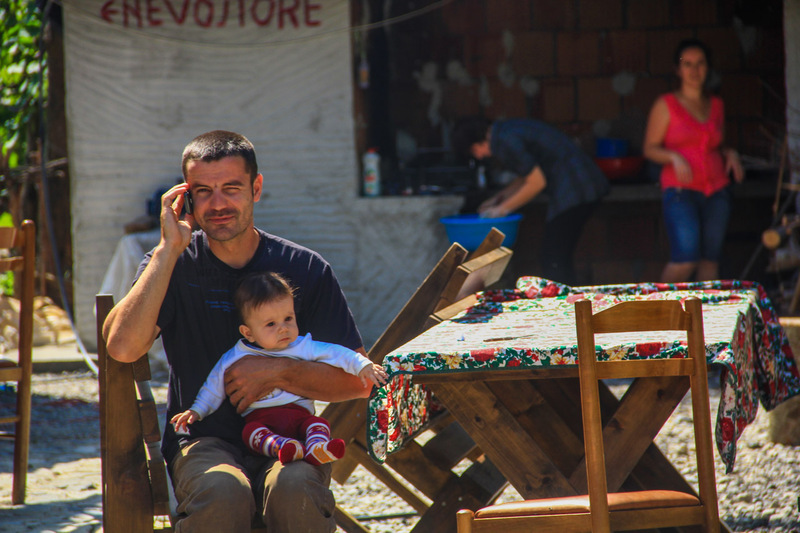 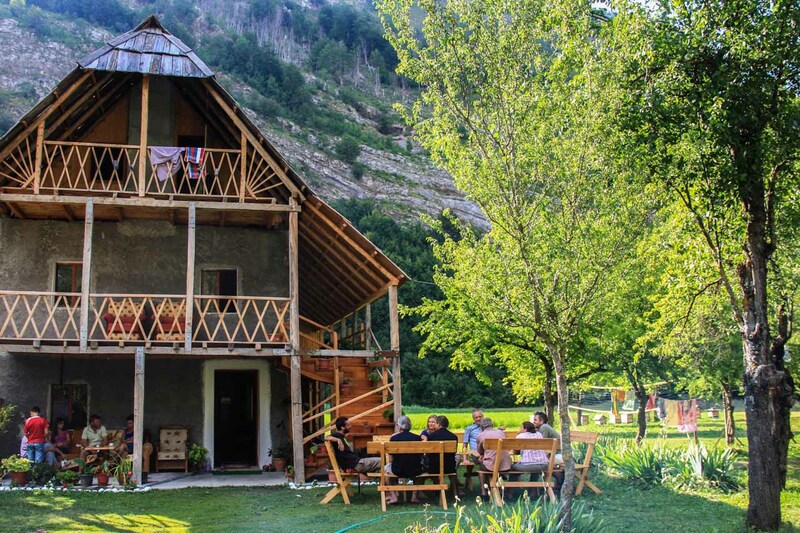 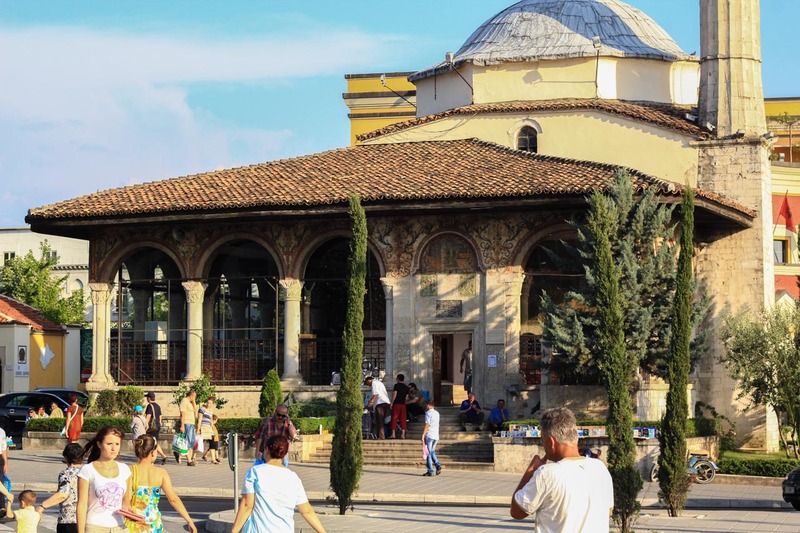 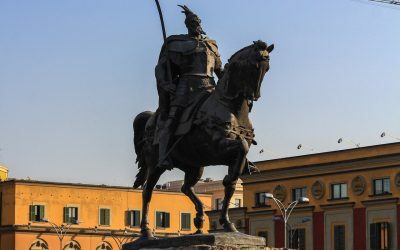 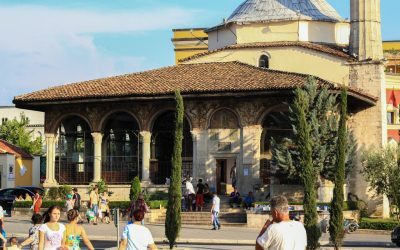 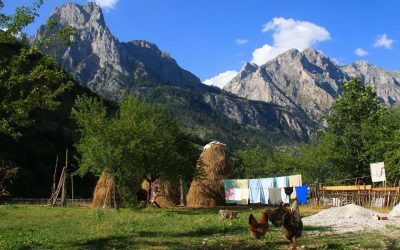 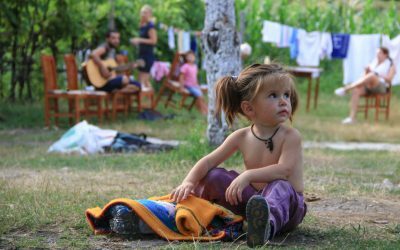 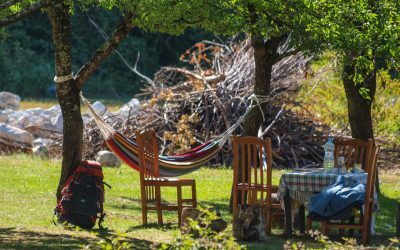 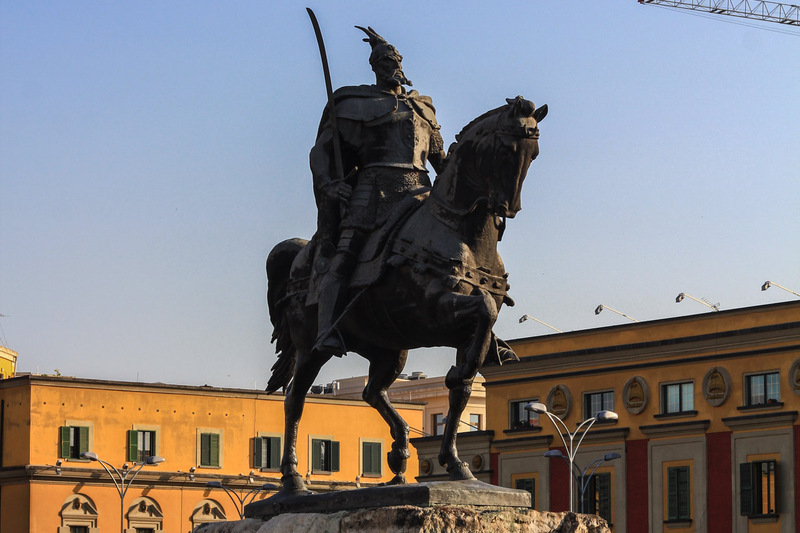 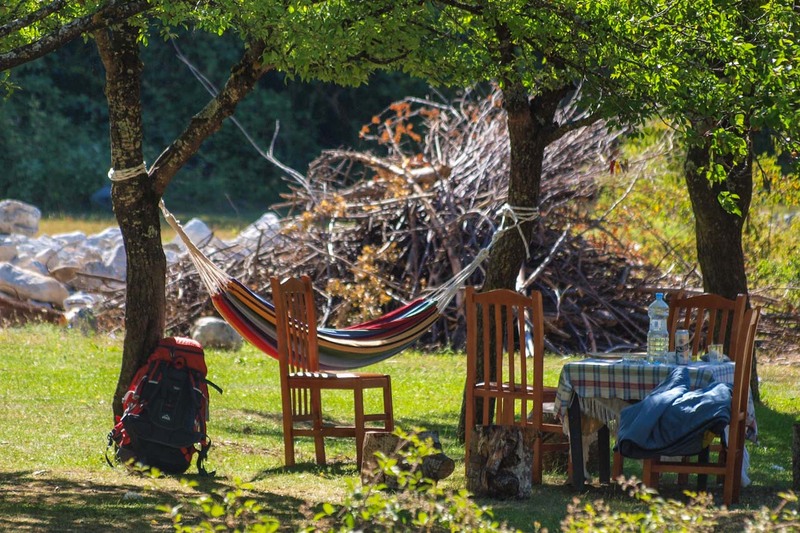 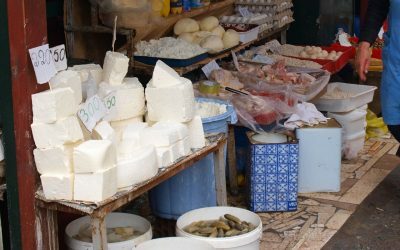 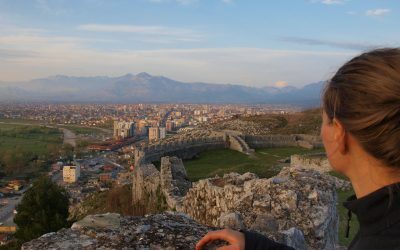 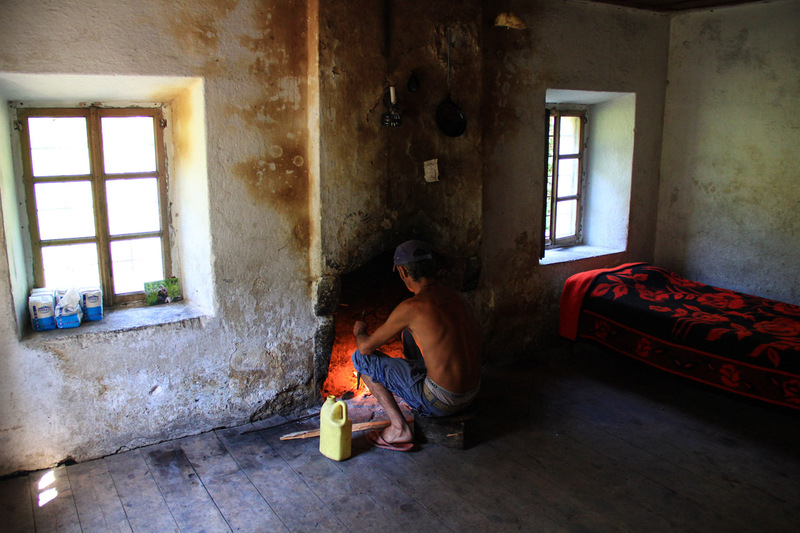 The itinerary covers Albania from the capital Tirana to much more relaxed Shkoder and two of the most remarkable valleys in the Dinaric Alps: Thethi and Valbona, both dominated by towering mountains and traditional alpine houses. 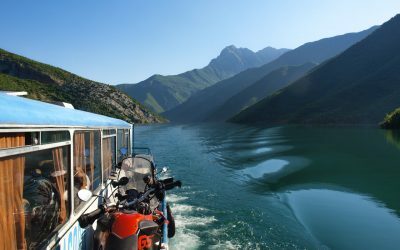 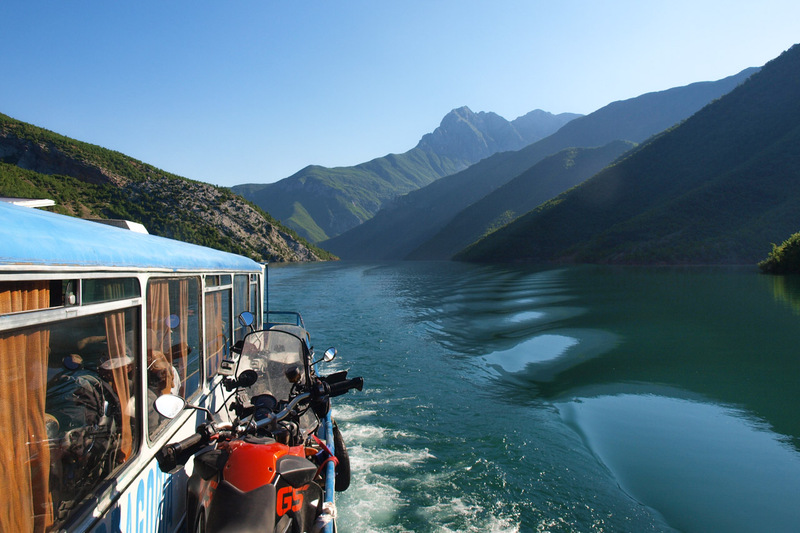 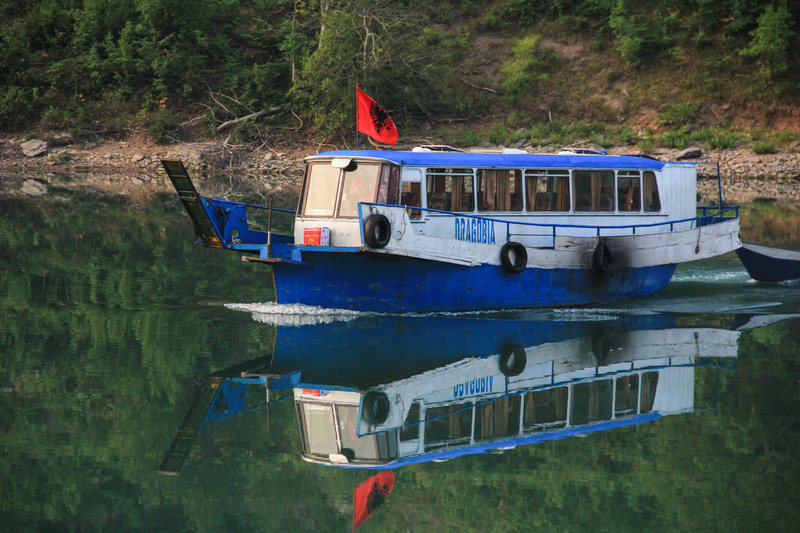 On our way back we will also enjoy a scenic ferry ride across the Koman Lake. 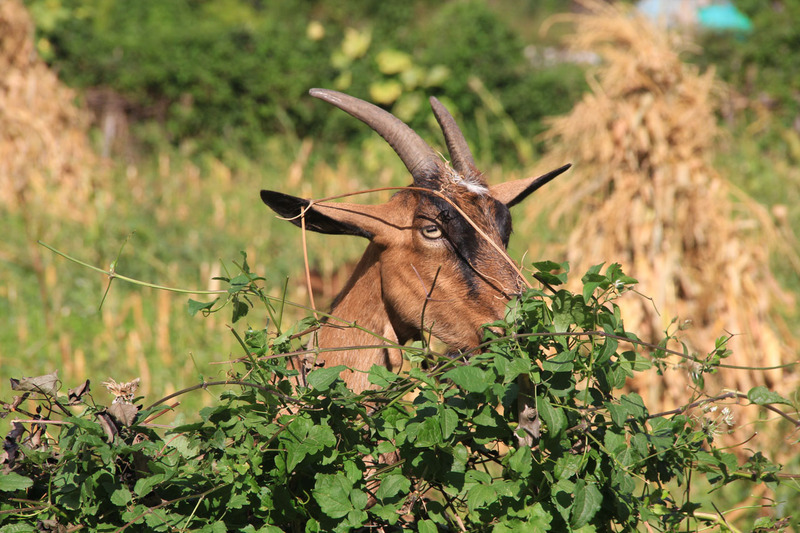 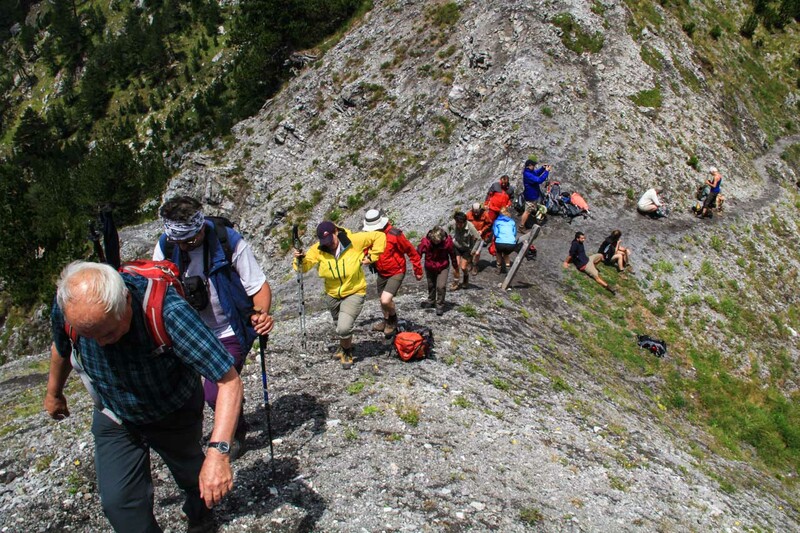 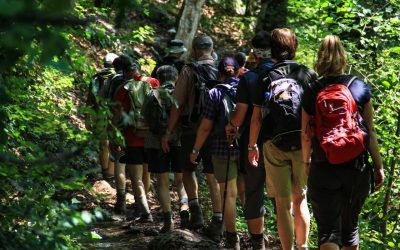 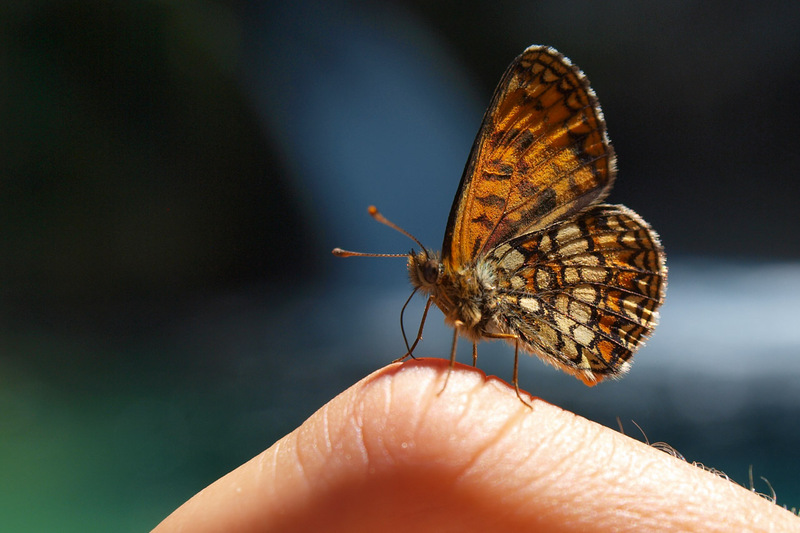 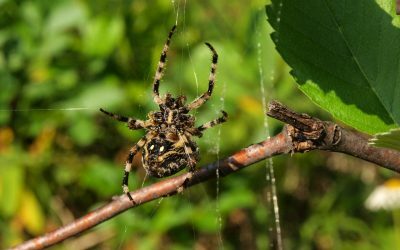 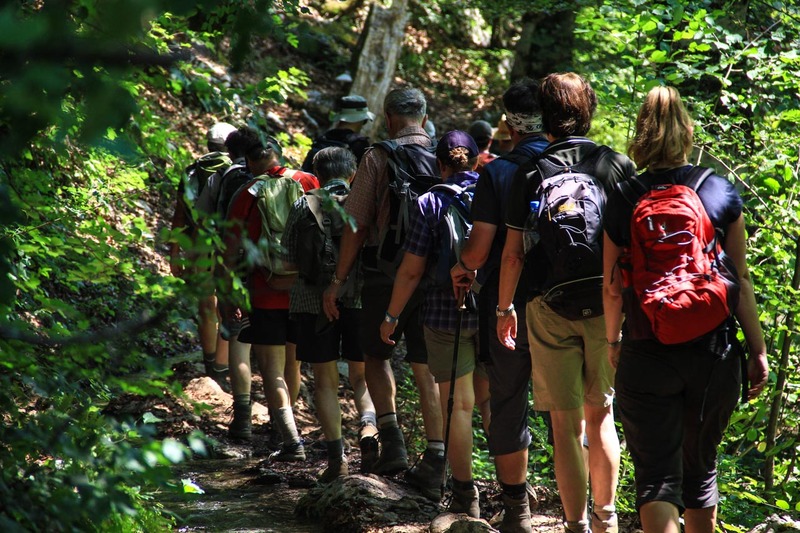 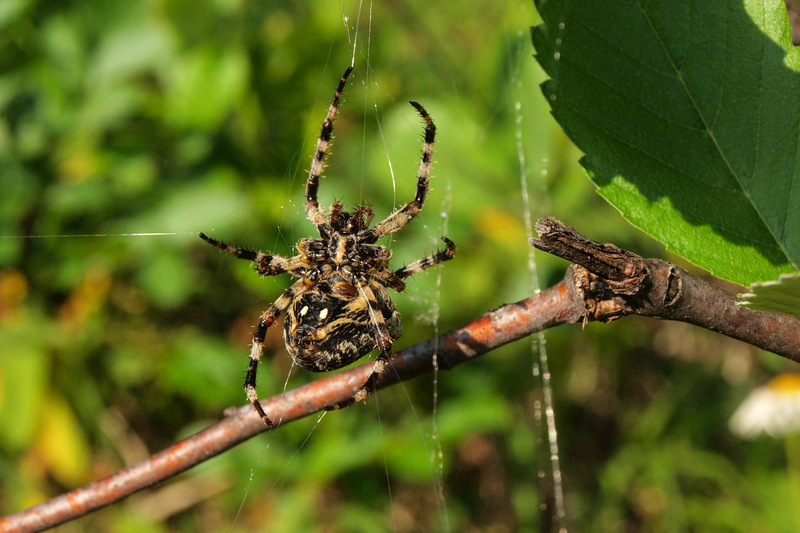 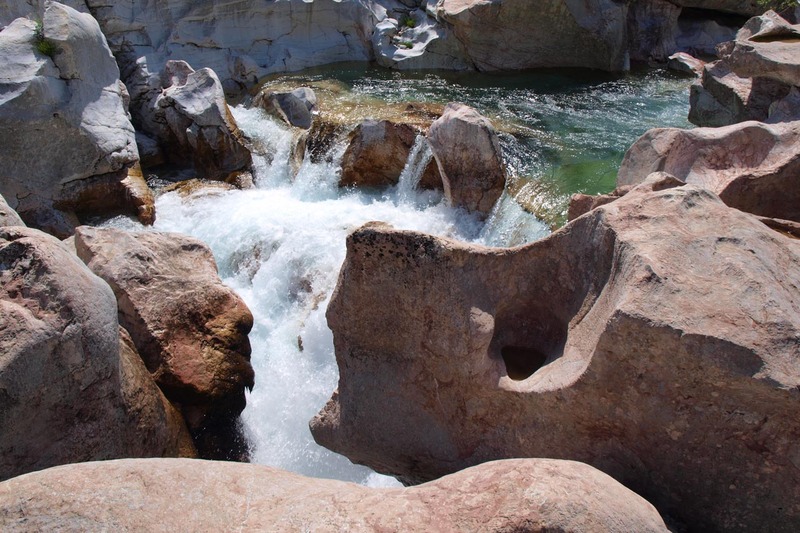 The hikes on this tour are ideal for outdoor lovers with average fitness levels. 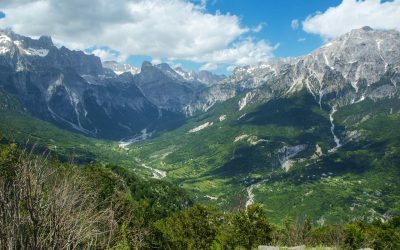 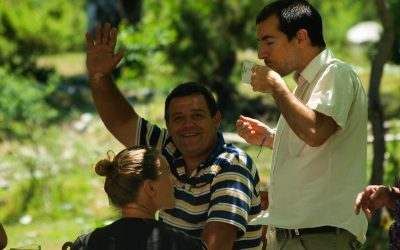 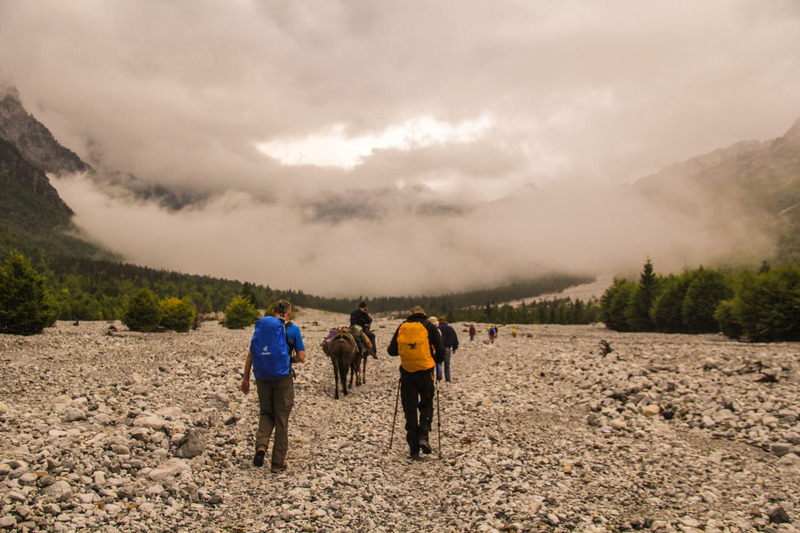 The effective walking time per day is about 4 hours on average, with the exception of one longer transfer hike from Theth to Valbona across the Valbona pass. 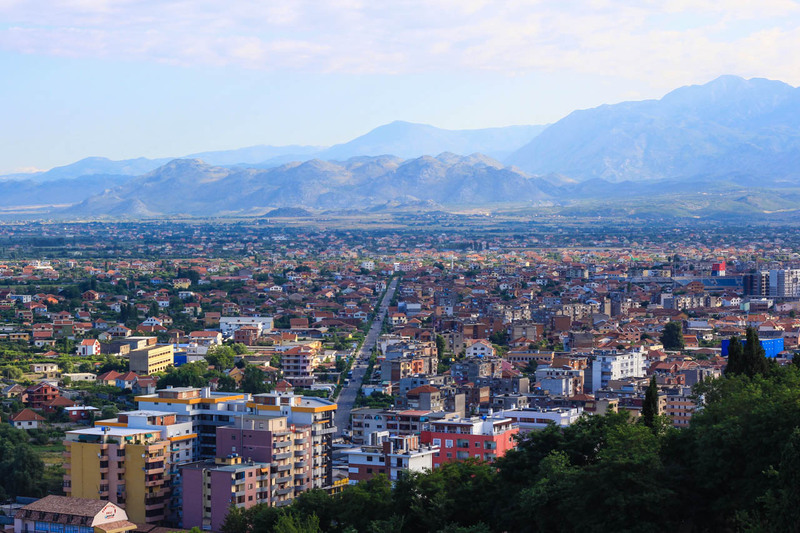 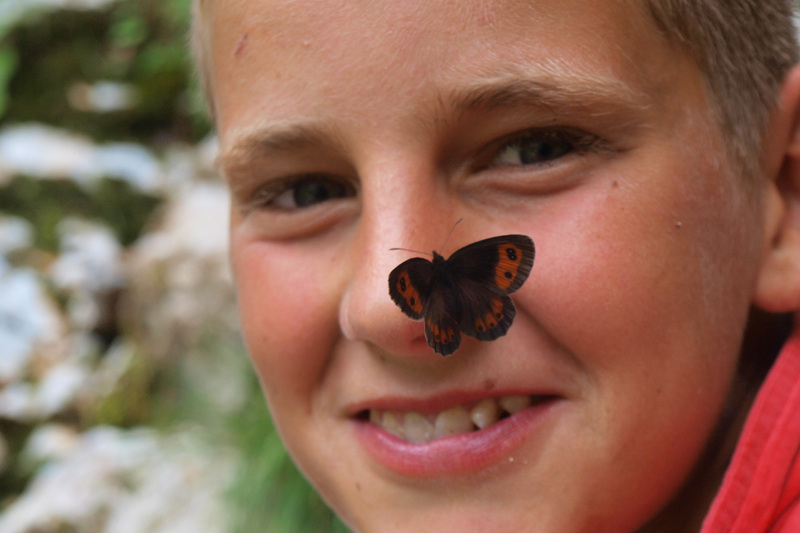 After our rendezvous at the airport we continue straight away to Shkoder, the North’s dynamic hub to the mountains. 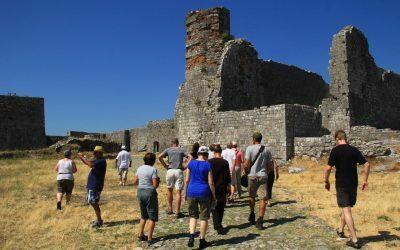 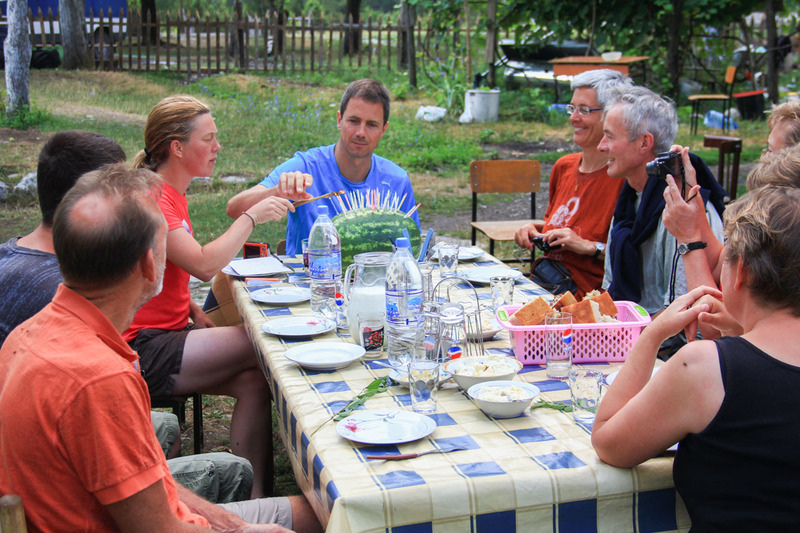 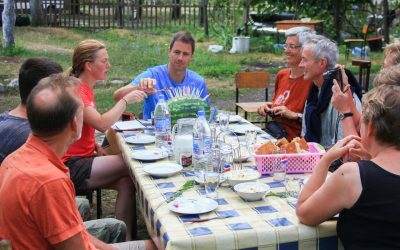 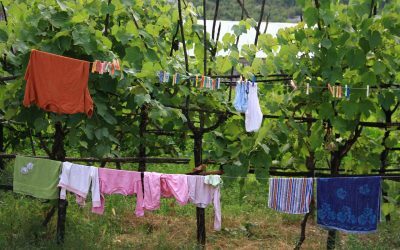 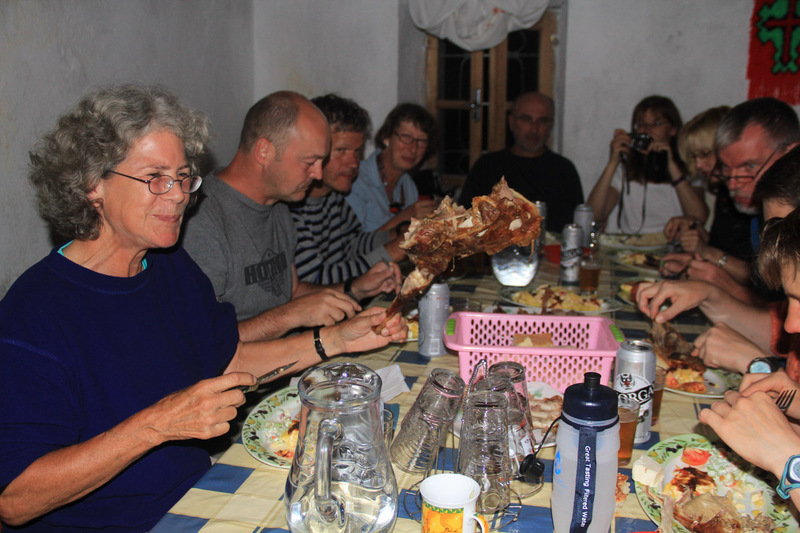 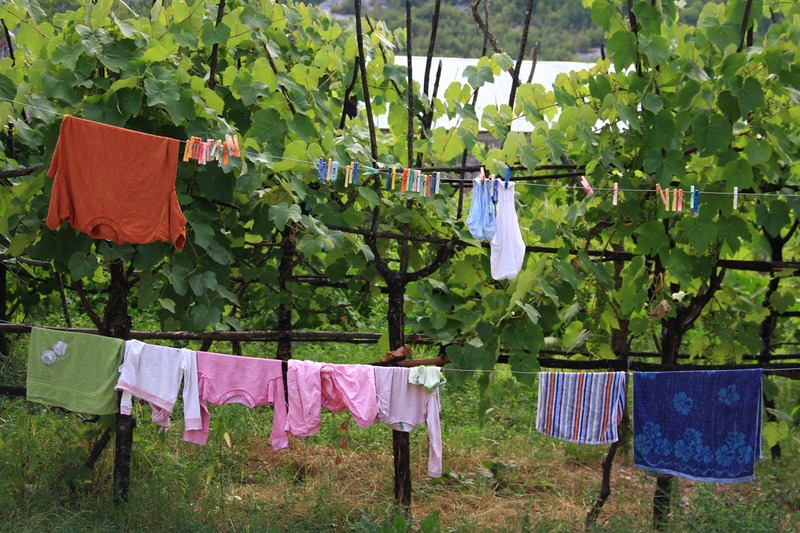 Here we can go for a swim, visit several sites, like the Rozafa castle or the Marubi photo library and enjoy a traditional meal. Leaving the city behind on the next day our transfer continues along Lake Shkoder in direction of Montenegro until we turn off the highway to enter Shkrel Valley, where to both sides mountains above 2000m start rising up from the river canyon. 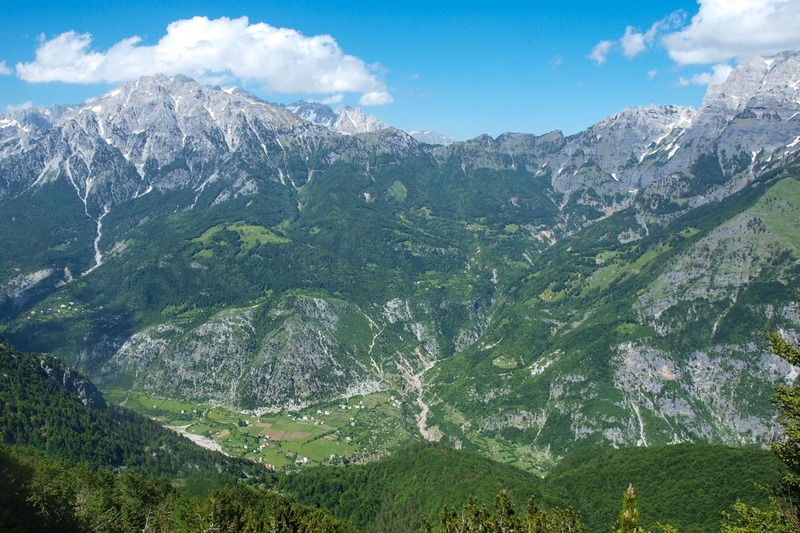 To get to Shala Valley we cross the Buni i Thores pass at 1685m on a dramatic road and stop to walk to the top of Maja e Zorzit for the best panoramic views. From here we continue down to the bottom of the valley, nestled into which lie the traditional stone houses of Theth. 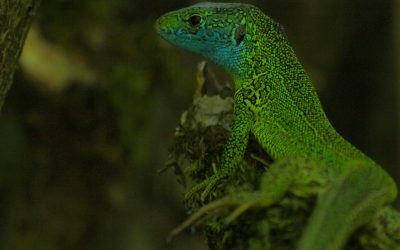 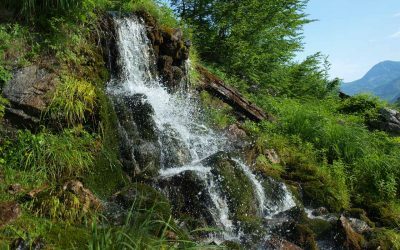 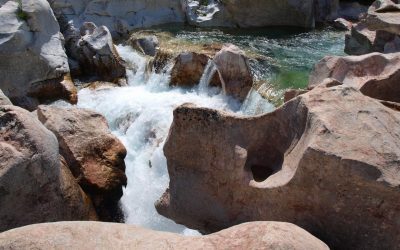 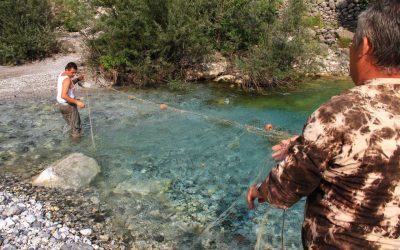 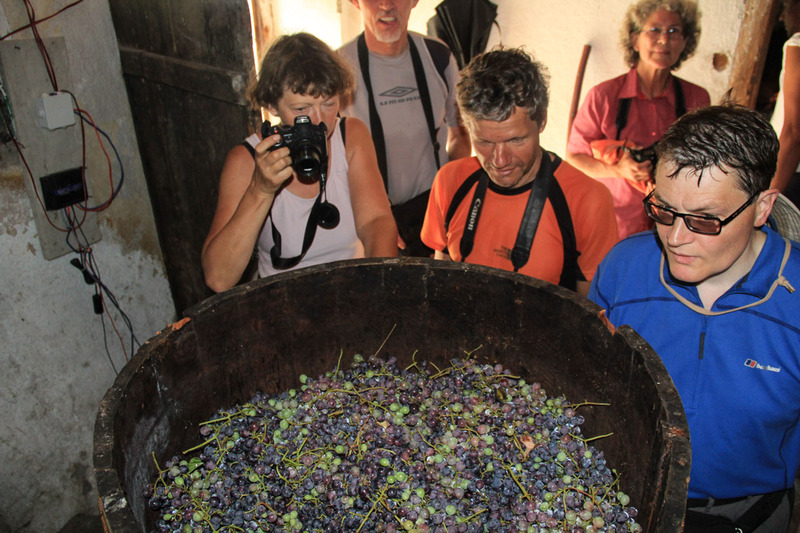 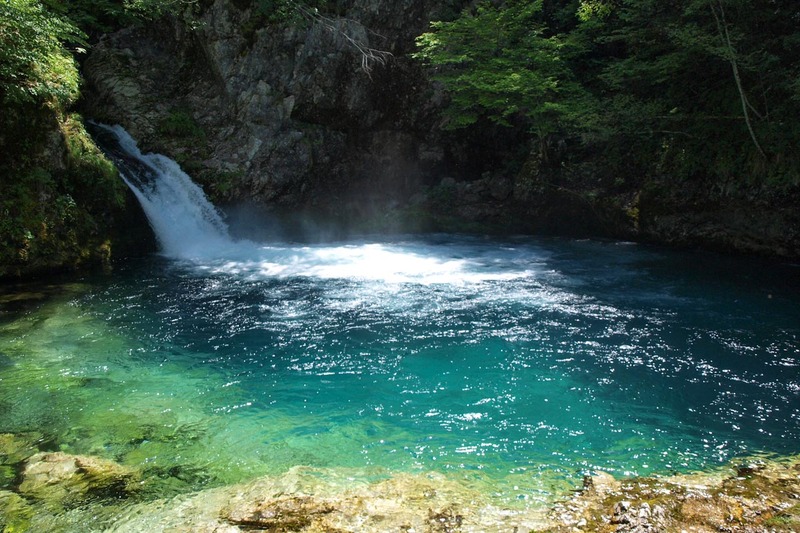 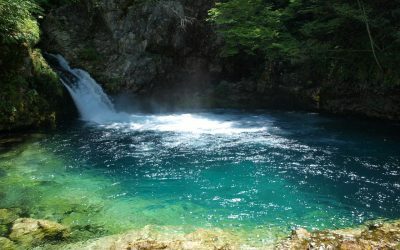 The next day we venture along the river to the famous “Blue Eye”, a karst spring, and the almost deserted Kapreja Valley. 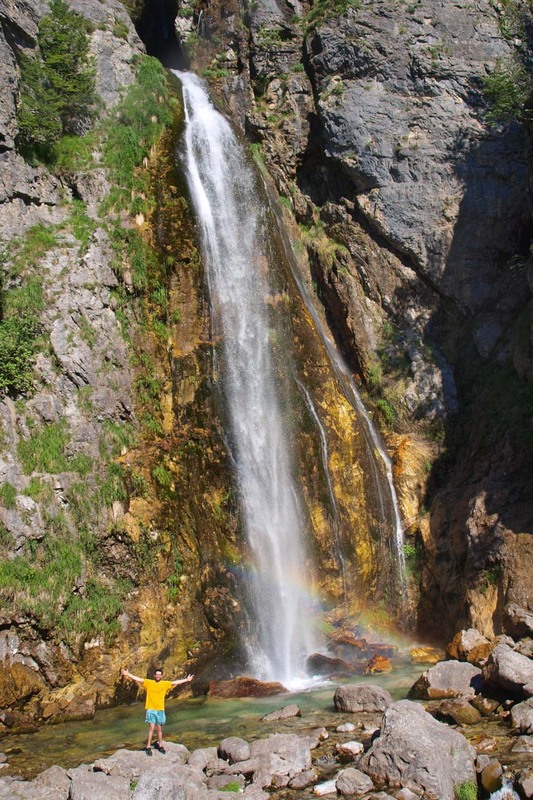 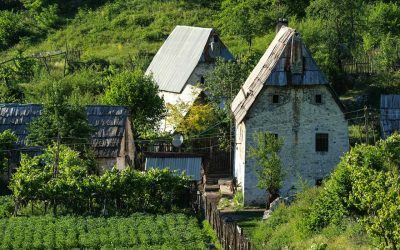 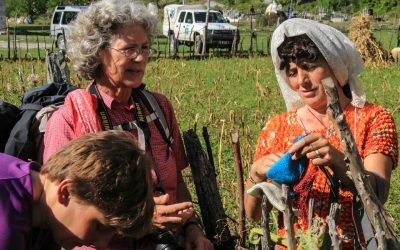 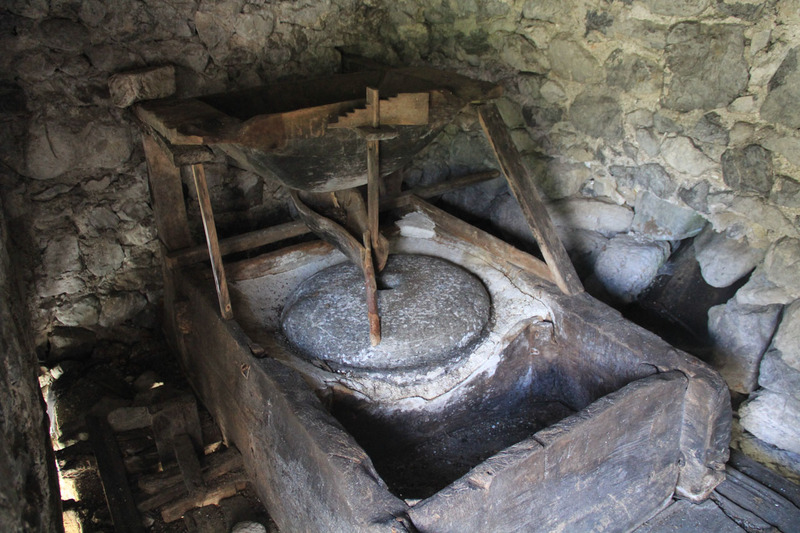 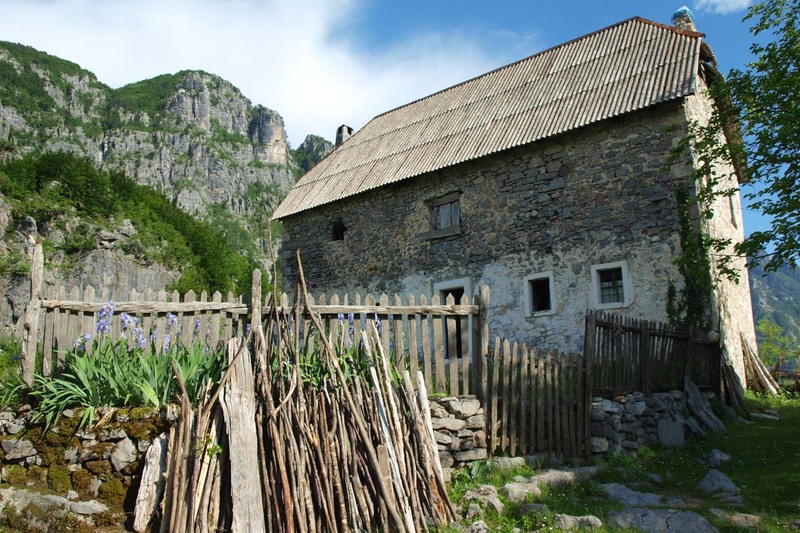 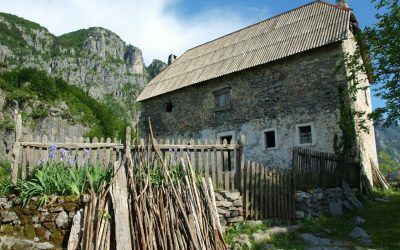 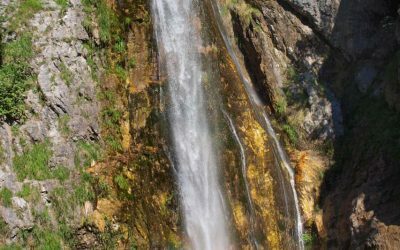 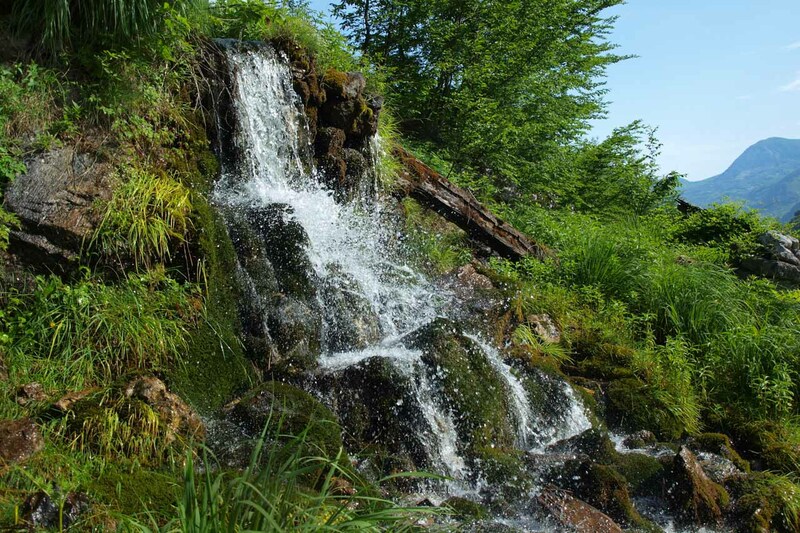 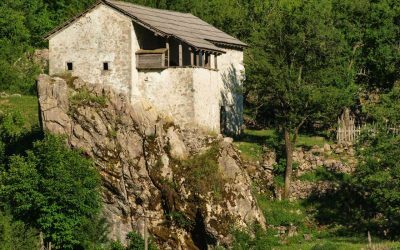 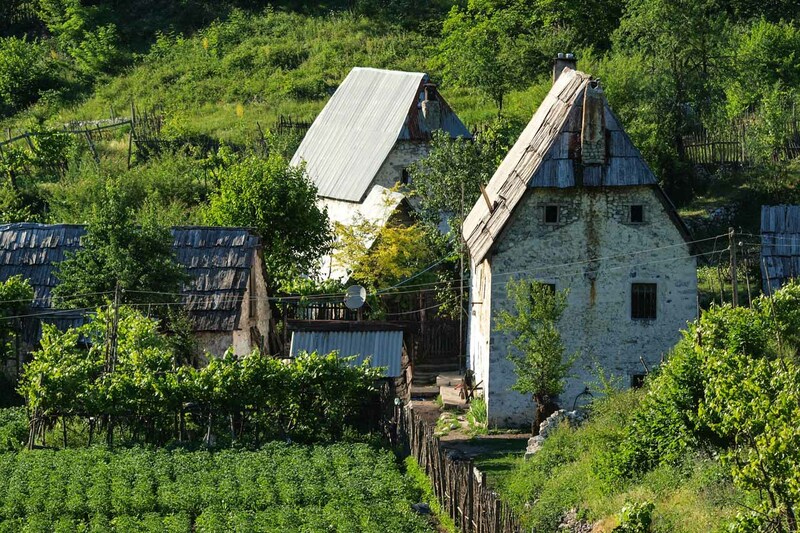 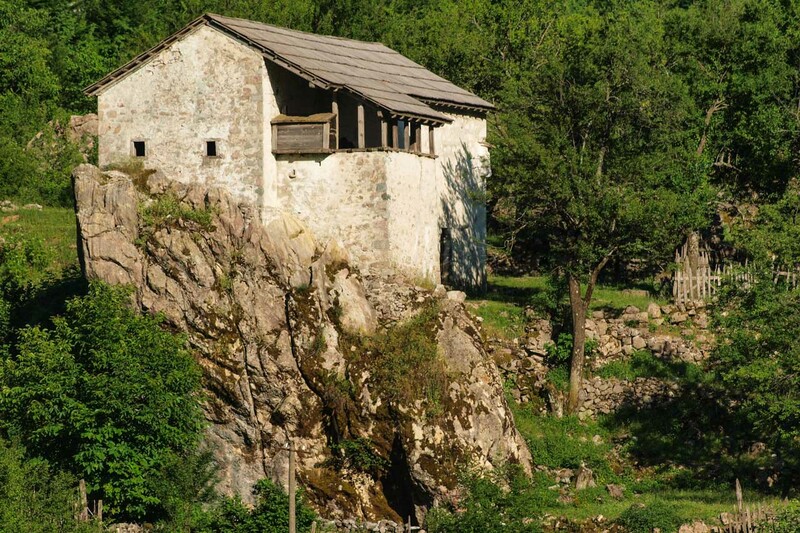 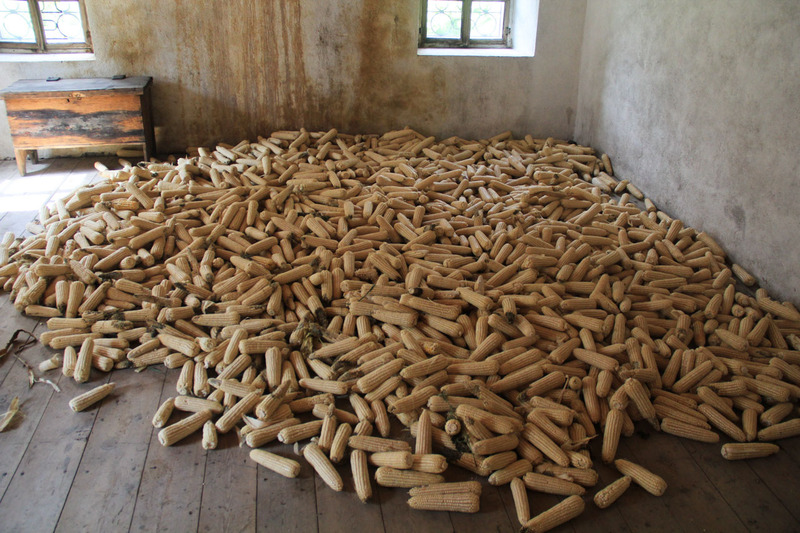 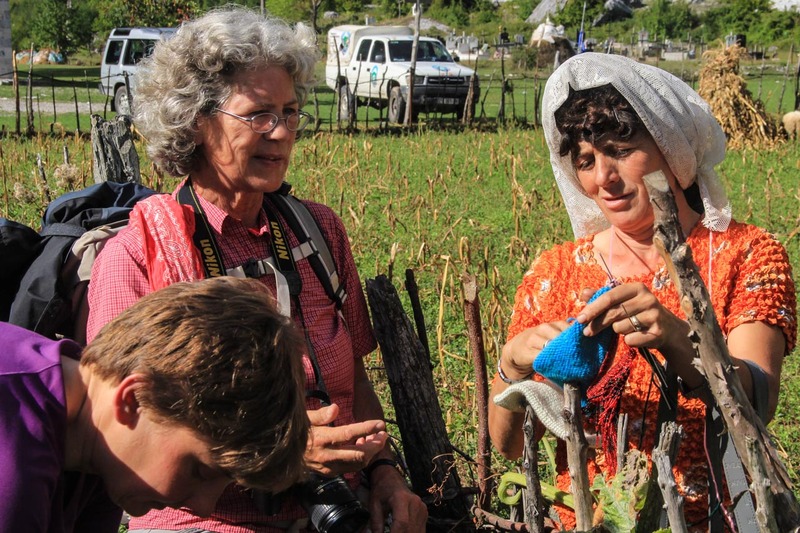 Our third day consist of a hike to the canyon and waterfall in Grunas, as well as the blood feud lock-in tower and the church in the center of the village. 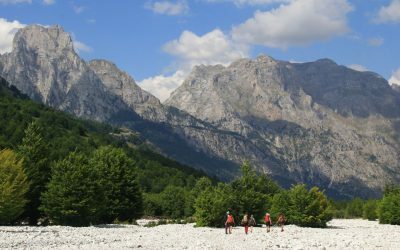 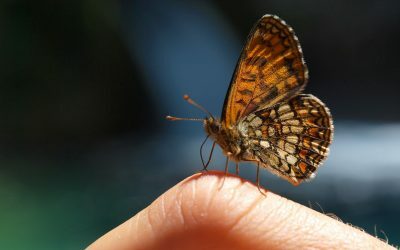 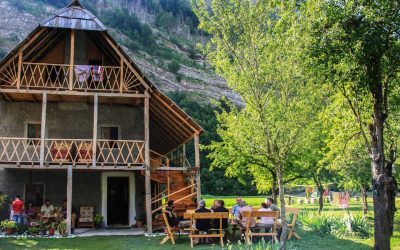 The highlight of many who visit is the transfer hike from Theth to Valbona Valley, where at 1966m you are on par with the surrounding peaks and able to enjoy the marvelous sights of the Malet e Zhapores Range in front of and Radohimes Massif behind you. 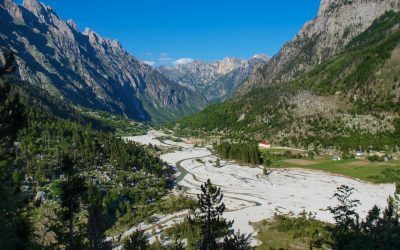 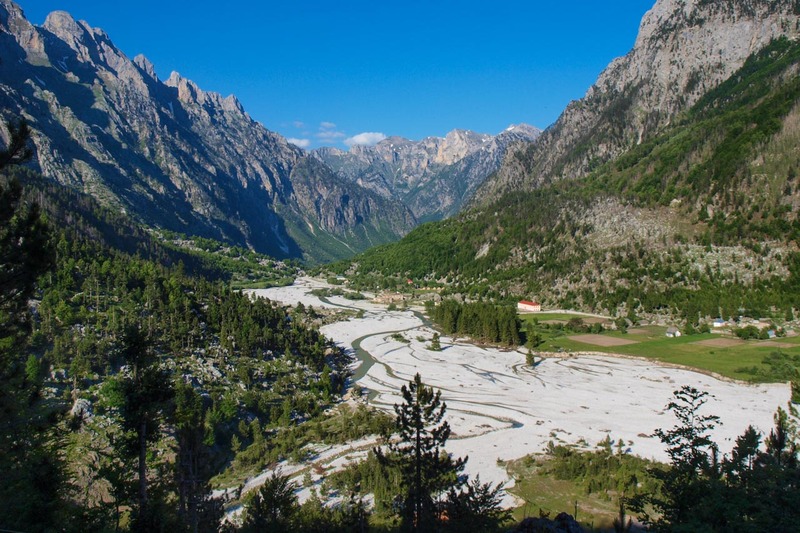 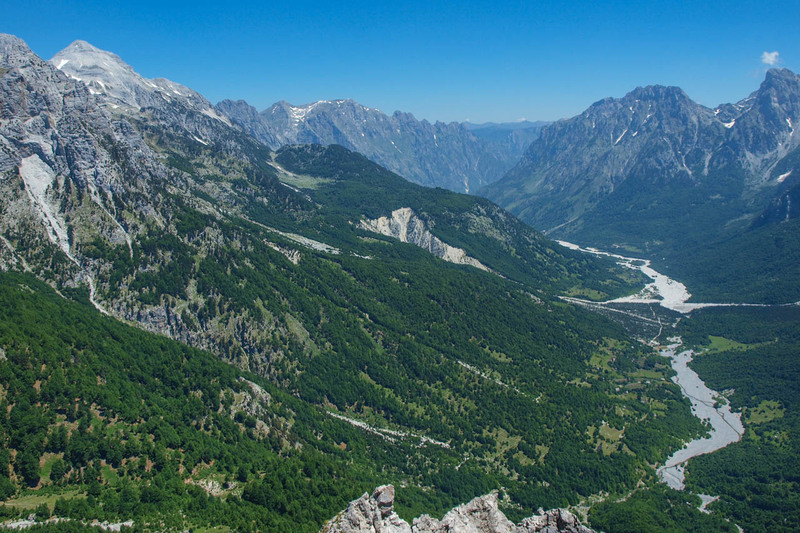 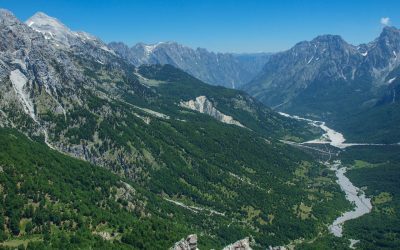 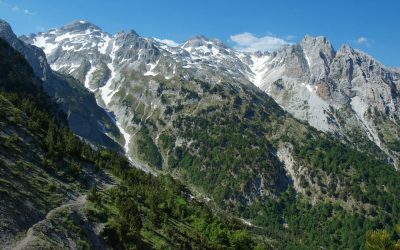 In more dramatic and inaccessible Valbona Valley we ascend along a glacial valley perched between the Jezerca Massif and Mt Bjelic with Rosni as its highest peak. 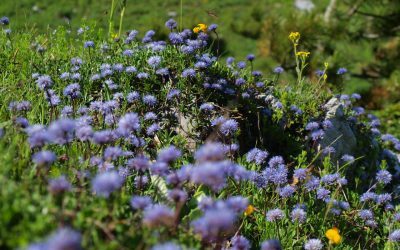 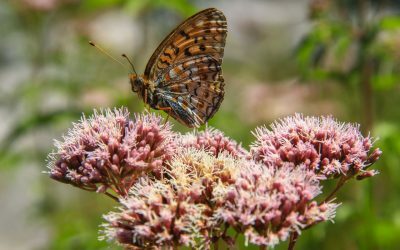 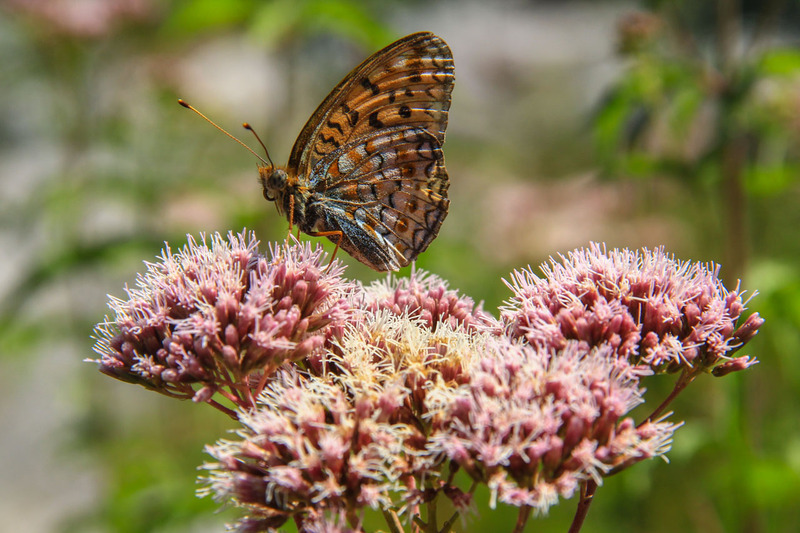 Especially in June the meadows host countless flowers which we can enjoy on our way to a summer pasture. 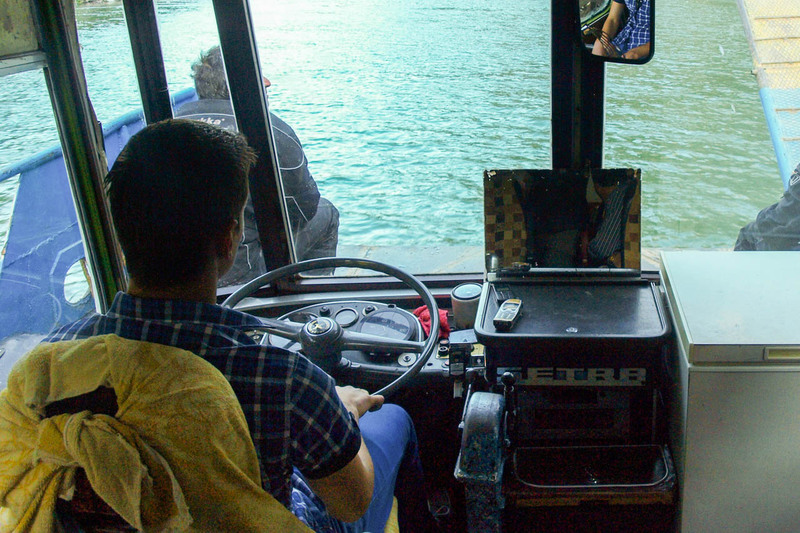 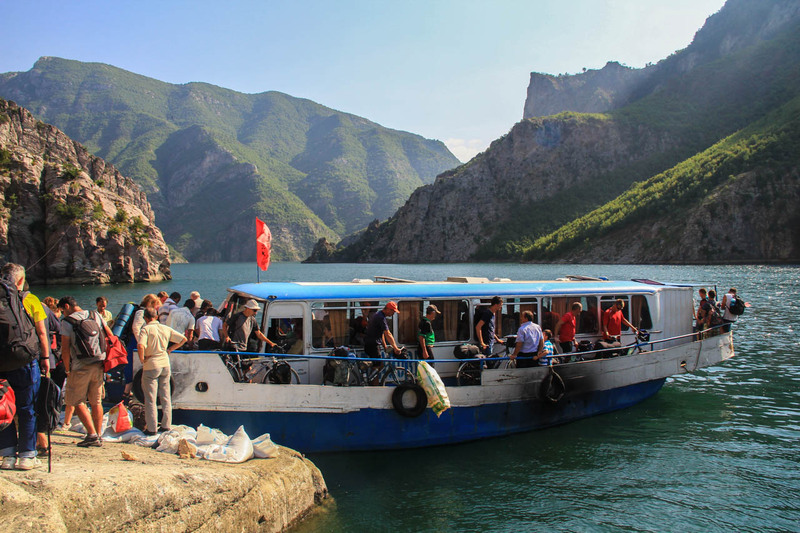 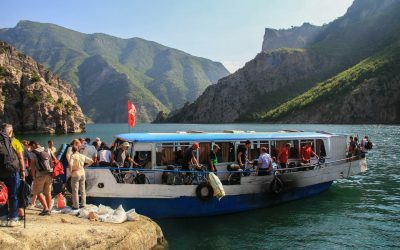 After our early morning start we board a modified bus transformed into a boat for a fabulous ferry ride over the artificial Lake Koman through a narrow flooded gorge that drives hydropower plants. 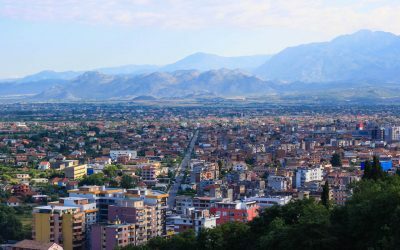 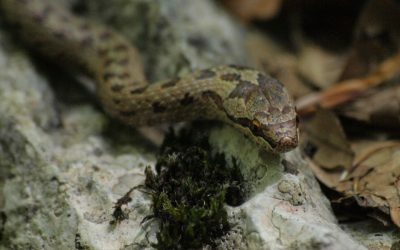 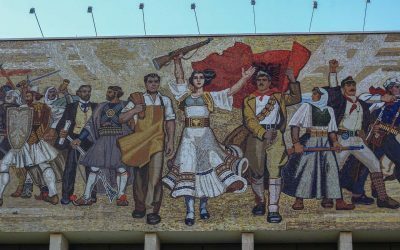 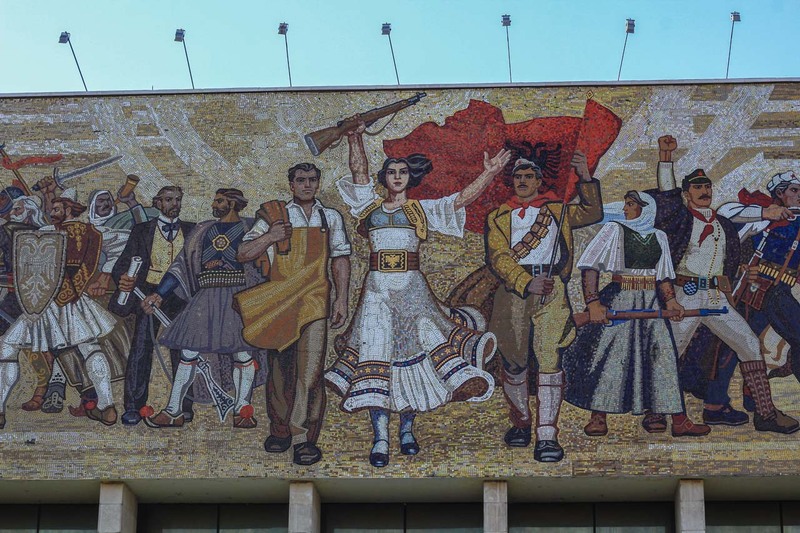 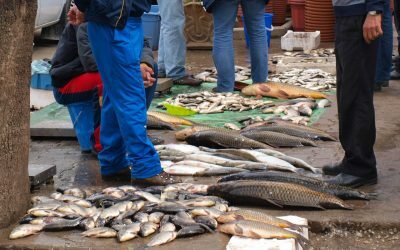 Subsequently we drive to Tirana to visit the National History Museum or to get an overview by taking the cable car to Mt Dajti. 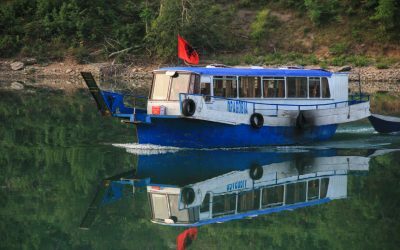 Afterwards we disembark for a walking tour of the colorful city, the evening is reserved for dinner in the nightlife Blloku district. 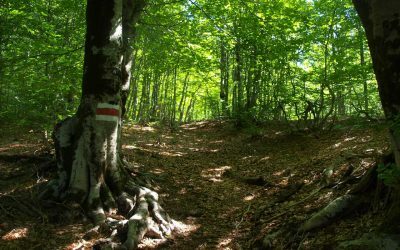 There is the option for an extension of the hike to Qafa e Roshit, a mountain pass at 2060m.